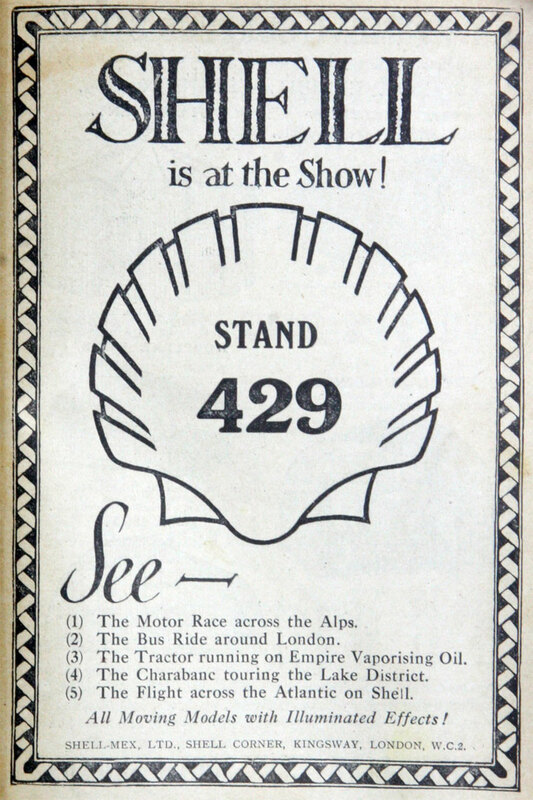 Advertising sign. 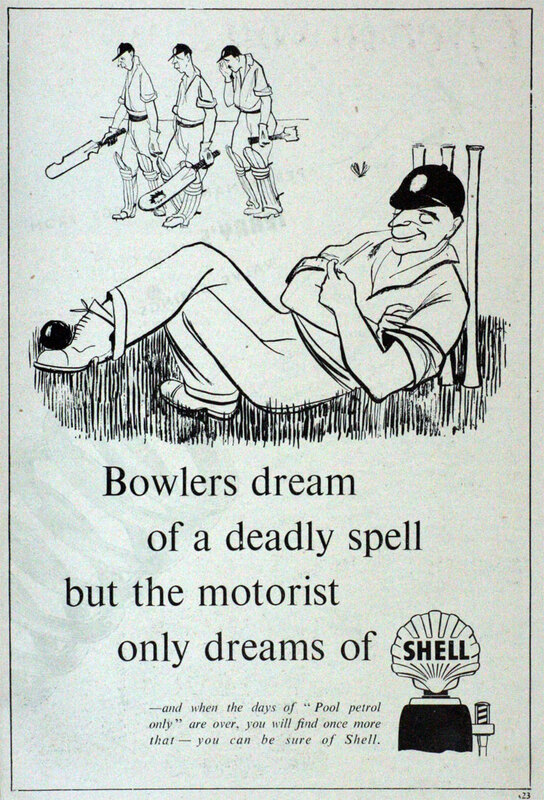 British Imperial Oil Co.
1950. 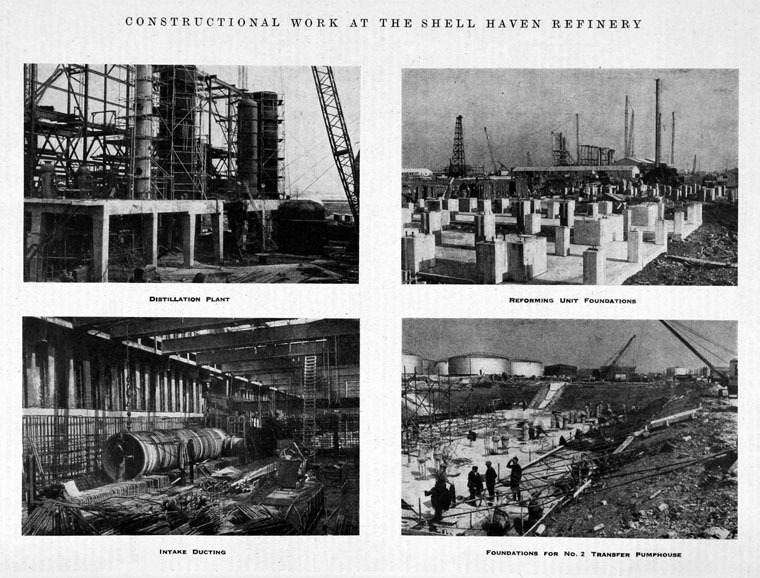 Constructional Work at Haven Refinery. 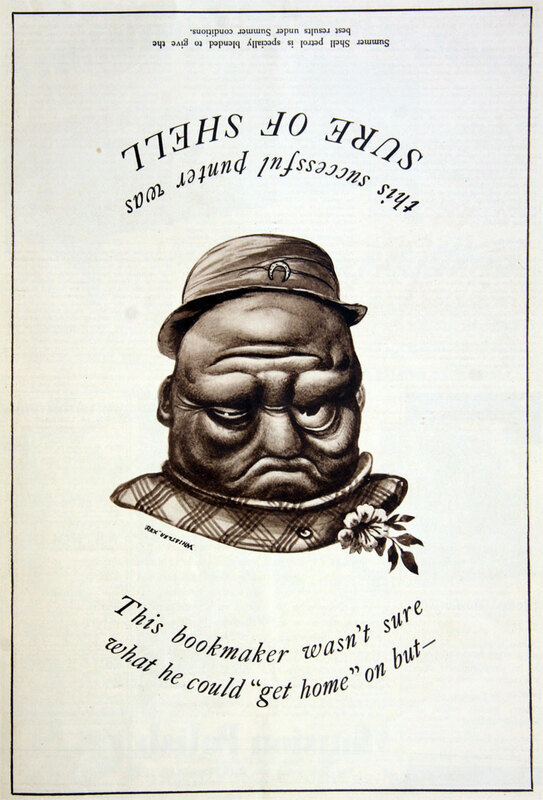 1833 Marcus Samuel, a shopkeeper, decided to expand his London business. 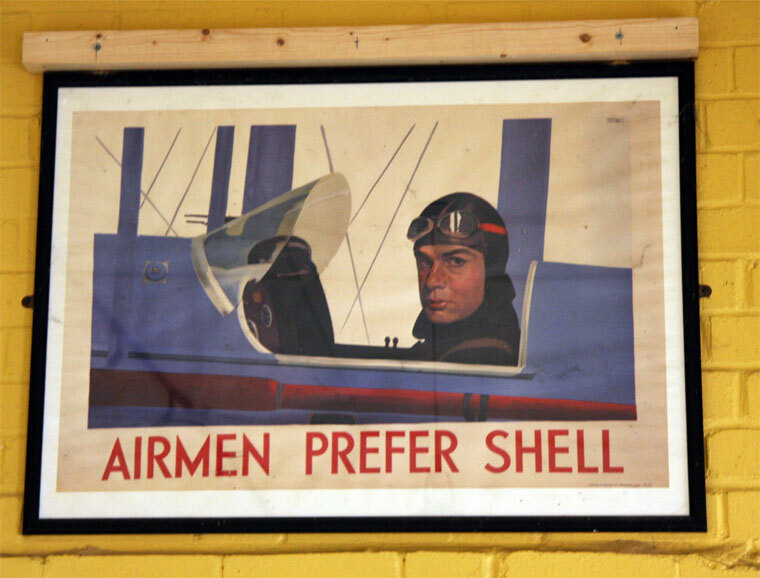 He sold antiques, but now added oriental shells. 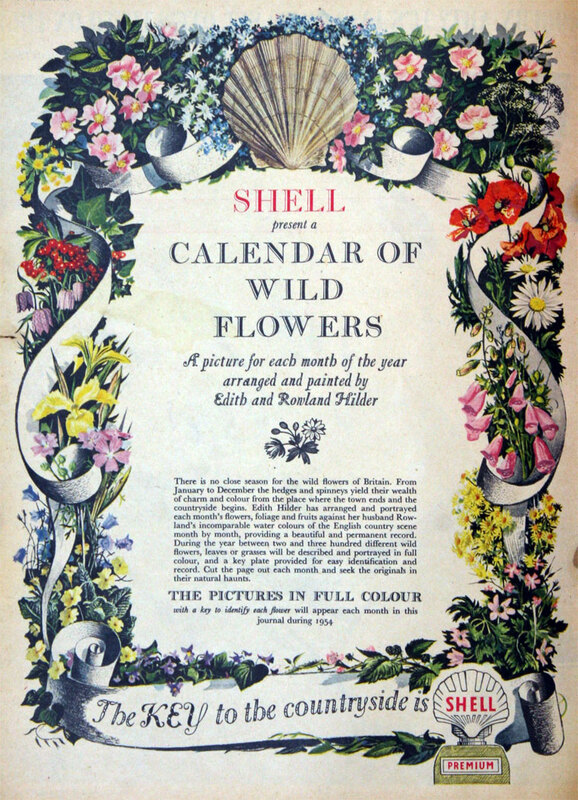 He aimed to capitalise on a fashion for using them in interior design and such was the demand that he quickly began importing shells from the Far East, laying the foundations for his import/export business. 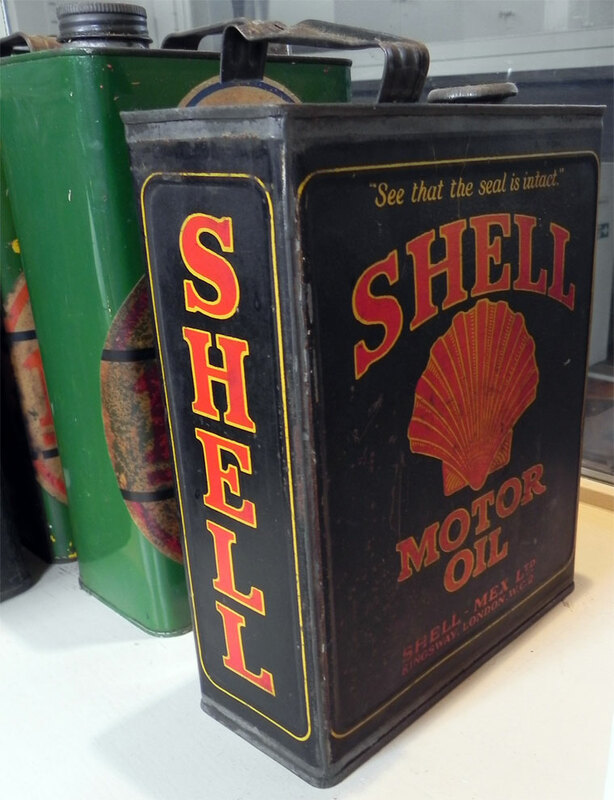 1886 The market for oil remained confined to lighting and lubricants until, in 1886, the internal combustion engine and demand for gasoline arrived with Karl Benz and the first Mercedes. By now the Samuel business had passed to Marcus Samuel junior and his brother Samuel Samuel. They exported British machinery, textiles and tools to newly industrialising Japan and the Far East and on return imported rice, silk, china and copperware to the Middle East and Europe. 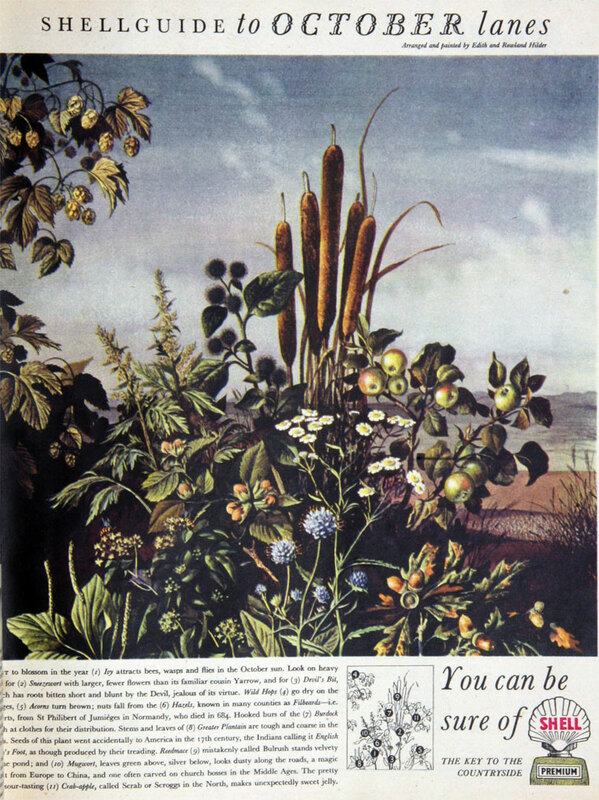 In London, they traded in commodities such as sugar, flour and wheat worldwide. During a trip to Japan, Samuel became interested in the oil exporting business, then based in Baku, Russia. The Rothschilds had invested heavily in the 1880s, in rail and tunnels to overcome the transport difficulties of getting oil from this landlocked base to the Black Sea and from there to overseas markets. Shipping still posed a problem as the oil was carried in barrels, which could leak and took up much space in the ship’s hold. 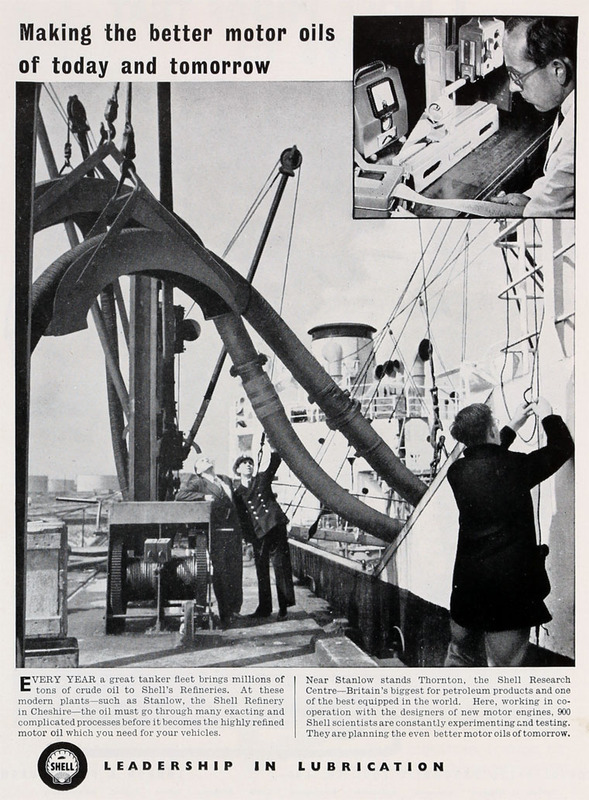 Marcus and Sam commissioned a fleet of steamers to carry oil in bulk, using for the first time the Suez Canal. They also set up bulk oil storage at ports in the Far East and contracted with Bnito, a Russian group of producers controlled by the Rothschilds, for the long-term supply of kerosene. 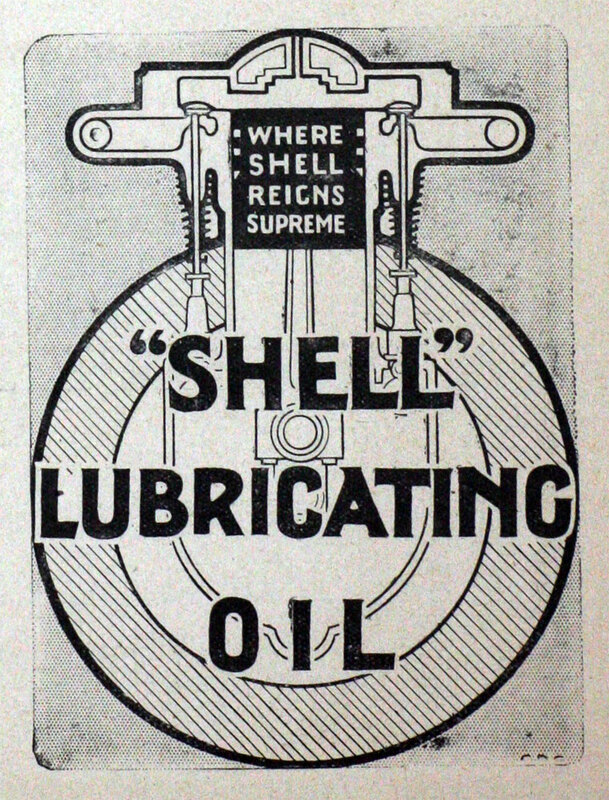 Their strategy was high-risk: if news of their operations got out they would be squeezed out by Rockefeller’s dominant Standard Oil. 1890 Petroleum was also being produced in the Dutch East Indies and, in 1890, a company had been formed to develop an oilfield in Sumatra. 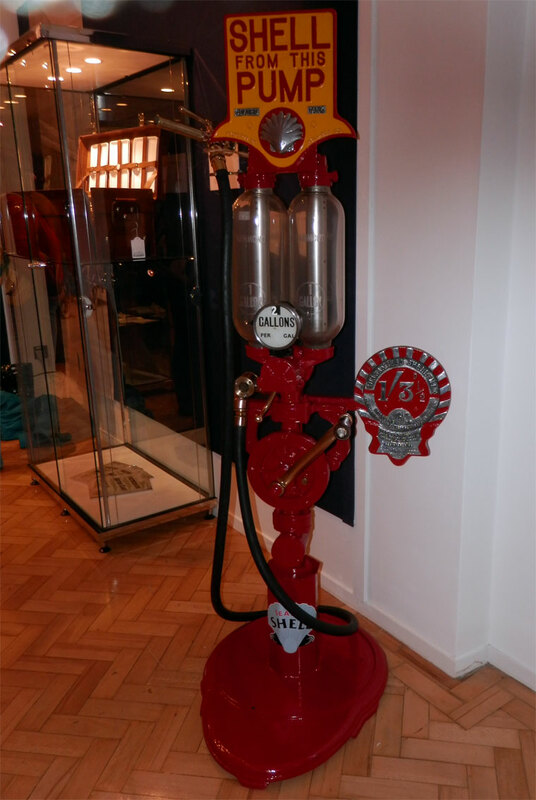 This was the origins of what was to become the Royal Dutch Petroleum Company. 1892 With the maiden voyage of the first bulk tanker, the Murex, through the Suez Canal, the Samuels had achieved a revolution in oil transportation. Bulk transport substantially cut the cost of oil by enormously increasing the volume that could be carried. Under the management of J. B. August Kessler, they built a pipeline and refinery at Pankalan Brandan. 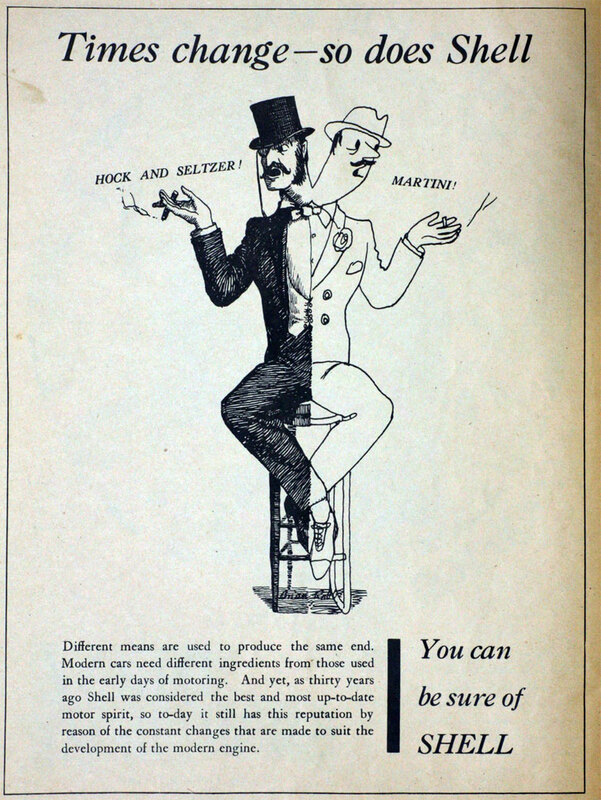 1896 Kessler was joined by a dynamic young marketing director, Henri Deterding, who was to become a dominant figure in the company until the outbreak of the Second World War. 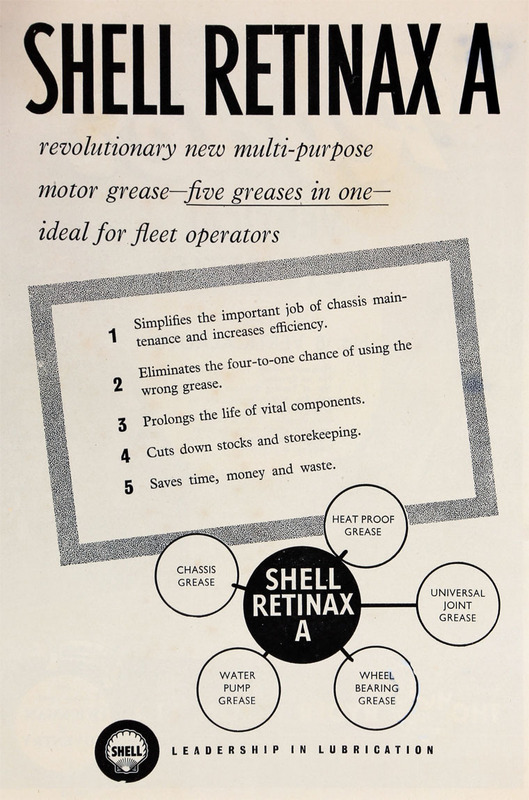 Faced with the competition from the Samuels’ low bulk transport costs, Royal Dutch began the construction of tankers and bulk storage installations and set up its own sales organisation. 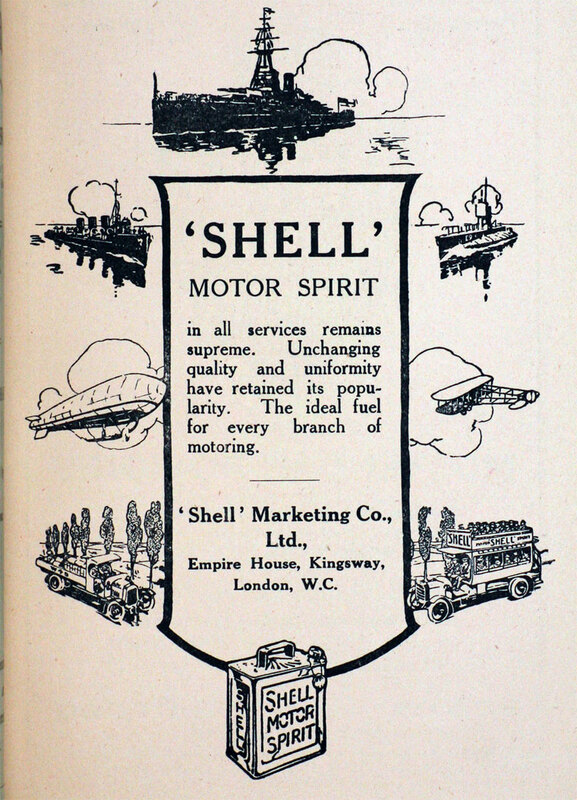 1897 The Samuel brothers initially called their company The Tank Syndicate but in 1897 renamed it the Shell Transport and Trading Company. 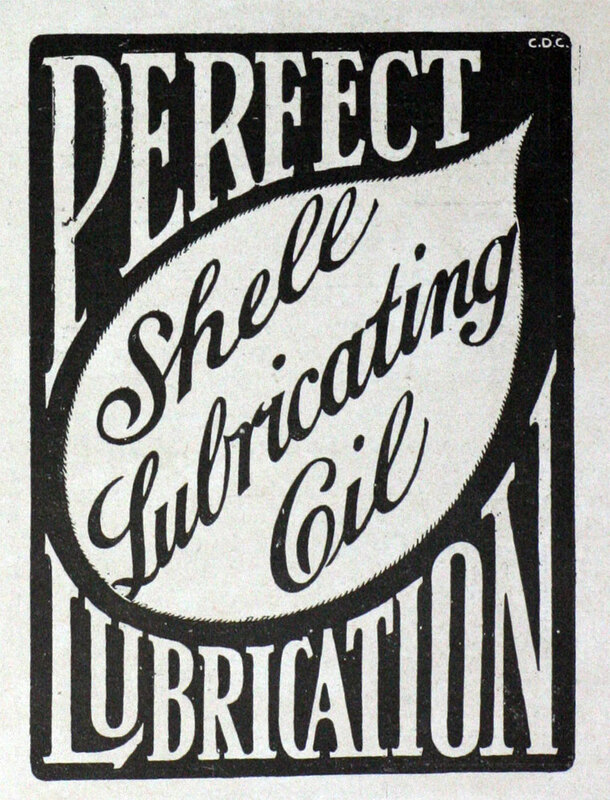 1897 The company was incorporated as a limited company to work the mineral oil-producing, refining, transporting and distributing properties formerly belonging to M. Samuel and Co. and their associates. 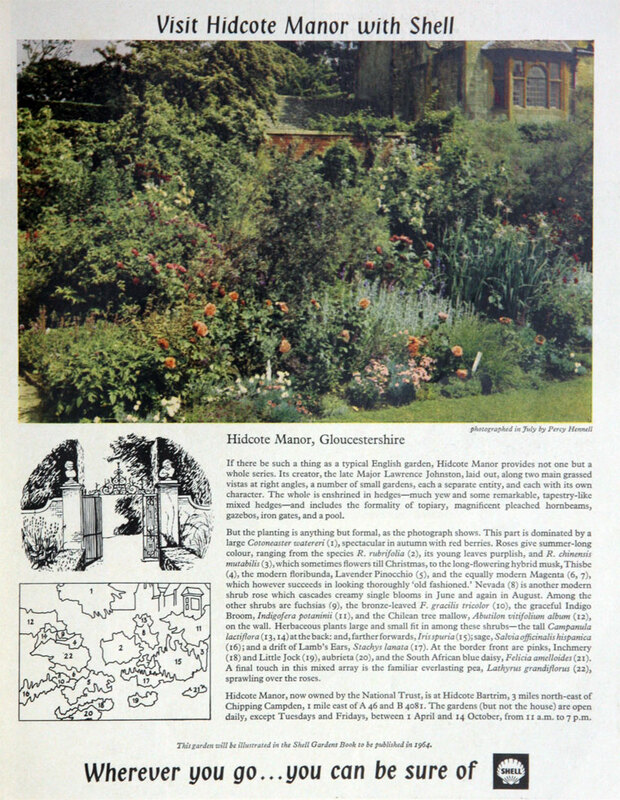 By the turn of the century, Marcus Samuel had become the model of an Edwardian plutocrat with a grand house in London and a country mansion, which had been bought lock, stock and barrel with furniture, pictures and parkland from Lord Romney. 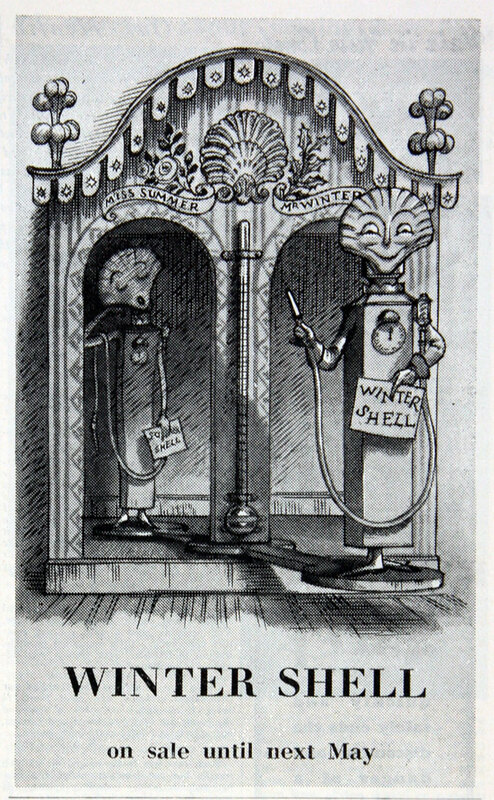 He kept horses and carriage and was active in public life in the City of London. He was knighted in 1898, became Lord Mayor of London and was a leading figure in the London business community. 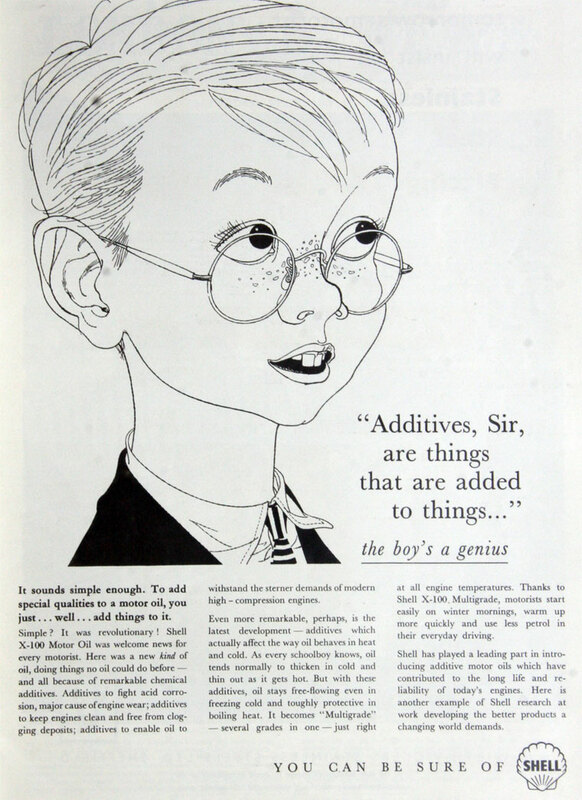 But Marcus Samuel’s dependence on Russian producers left him vulnerable and he decided to seek other sources of oil. 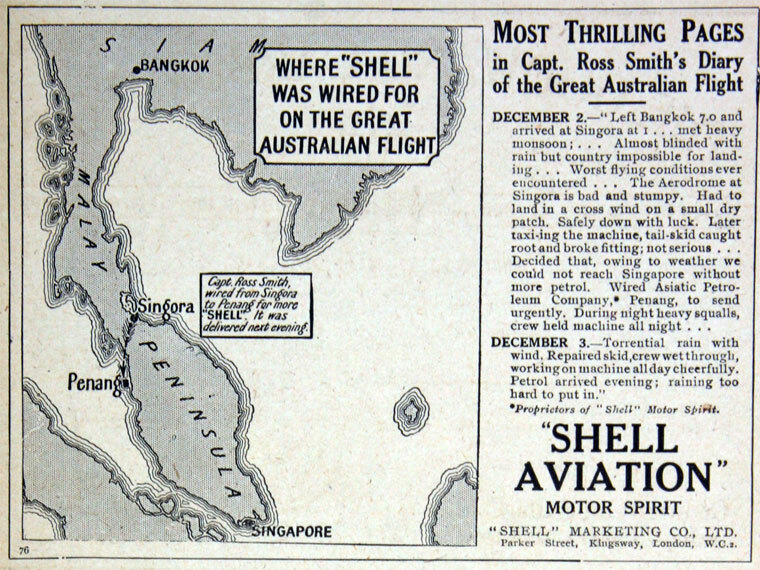 He turned to the Far East and his first venture into Borneo brought him up against Royal Dutch Petroleum, one of the region’s biggest competitors. 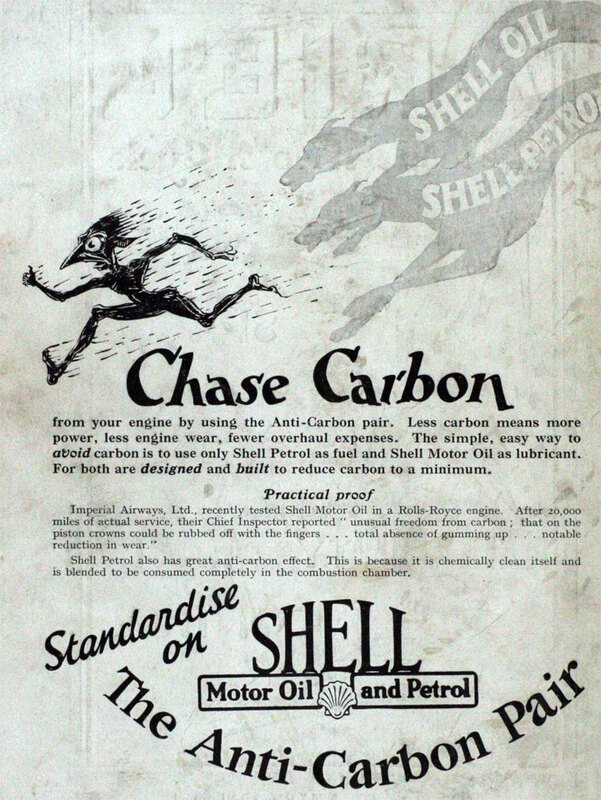 The two companies joined forces to protect themselves against the might of Standard Oil, forming a sales organisation in 1903, the Asiatic Petroleum Company. 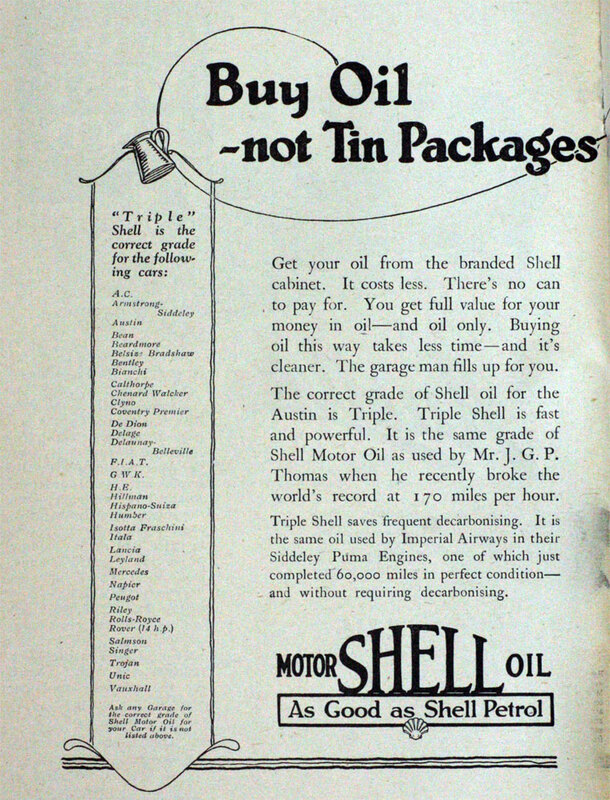 The discovery of oil in Texas offset a series of troubles which had affected both companies. 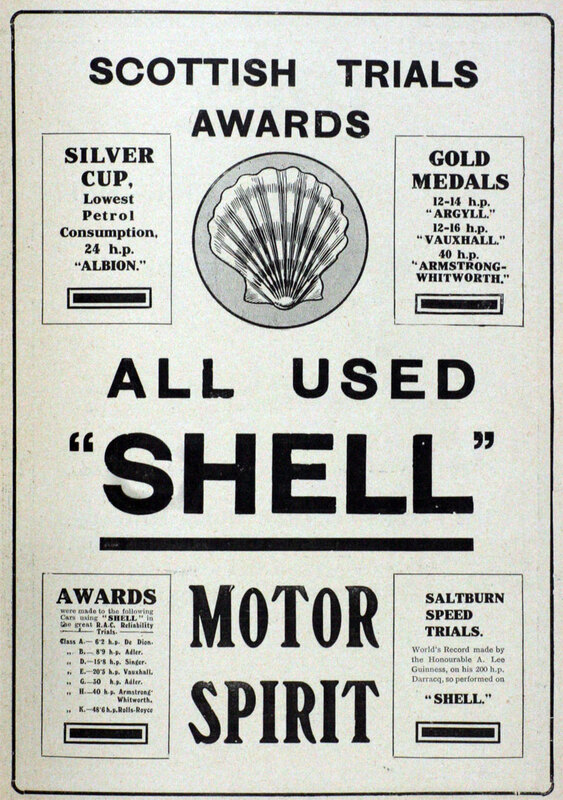 In 1904, the scallop shell or pecten replaced Shell Transport’s first marketing logo, a mussel shell. 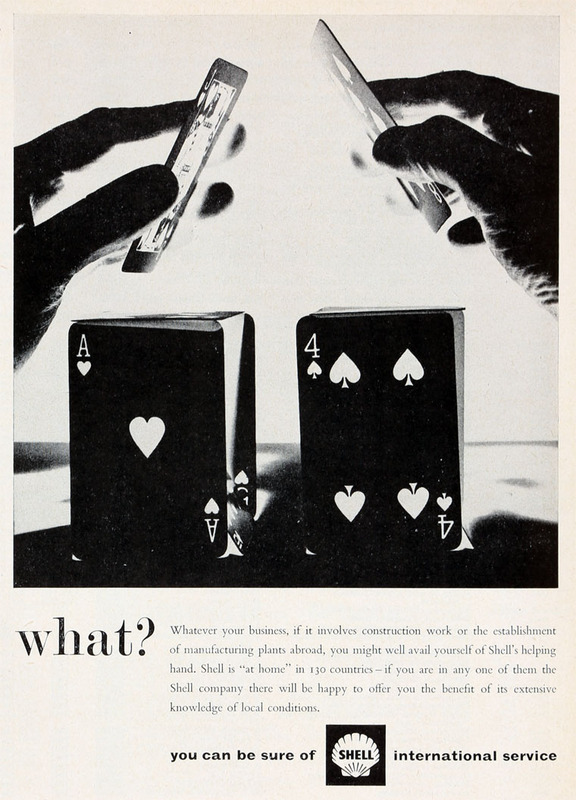 In various forms it has remained in use ever since, becoming one of the best known corporate symbols in the world. 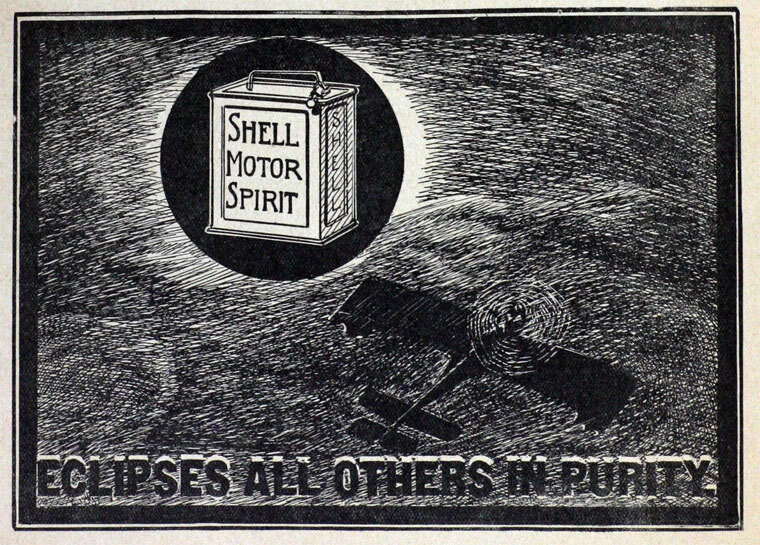 1907 The full merger of the two companies into the Royal Dutch Shell Group. 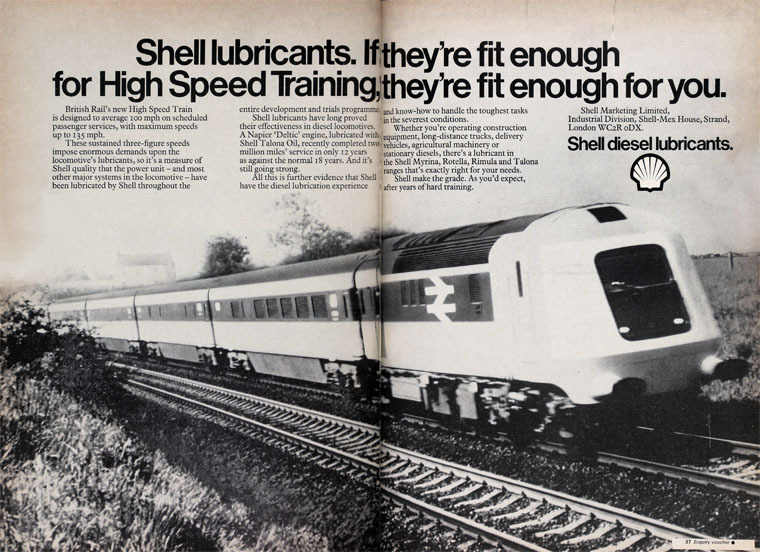 There were two separate holding companies with Royal Dutch taking 60% of earnings and Shell Transport taking 40%. 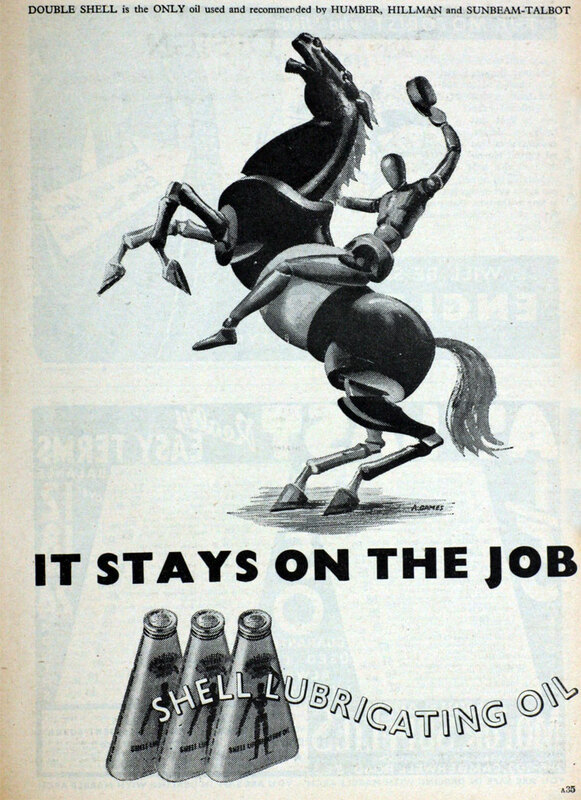 The business was run by a variety of operating companies. 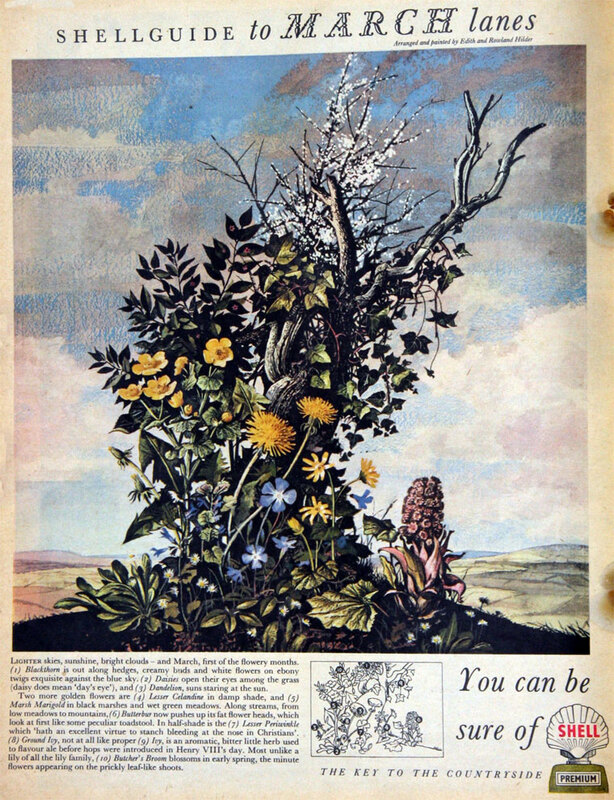 The merger transformed the fortunes of both companies. 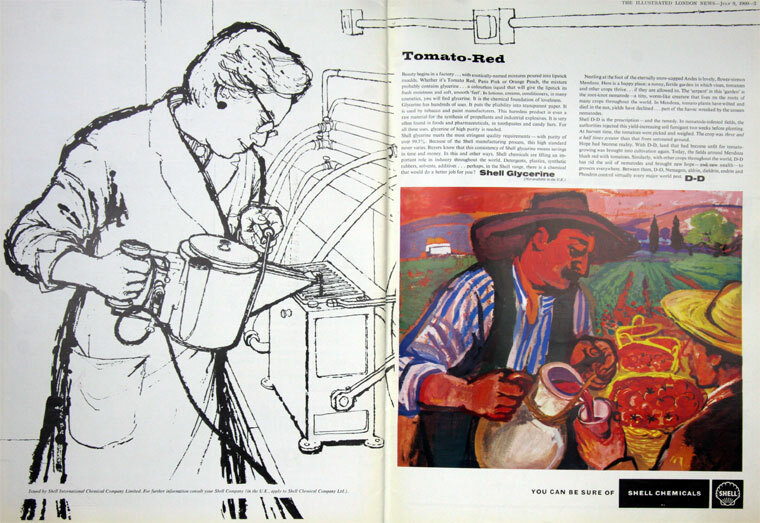 Under the management of Henry Deterding they turned from struggling entities to successful enterprises within twelve months. 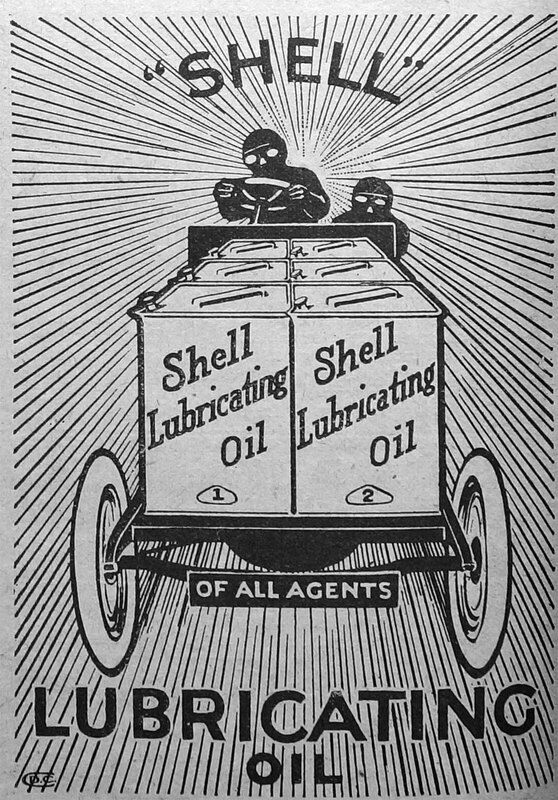 1907 Agreement between Shell Transport and Trading Co and British Petroleum that the latter would distribute Shell petrol in the UK using Shell storage tanks, etc as agents of Shell. 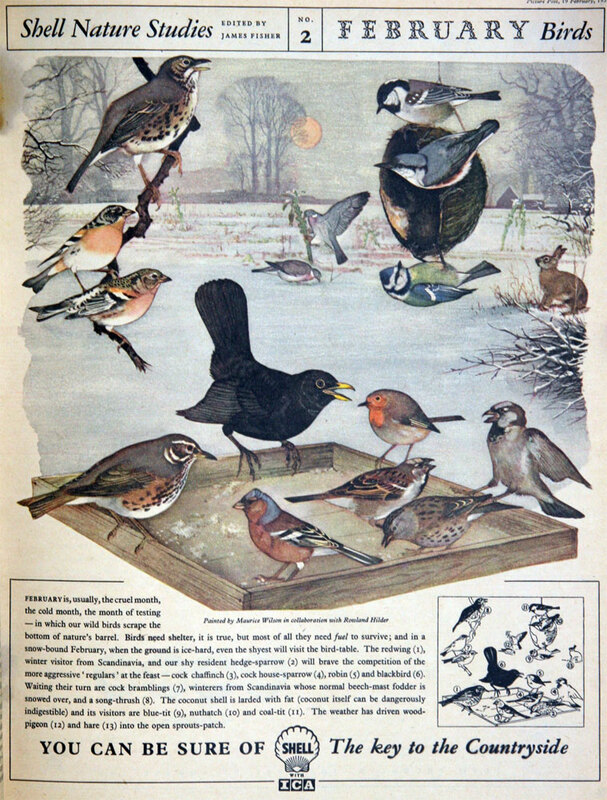 The Group rapidly expanded across the world. 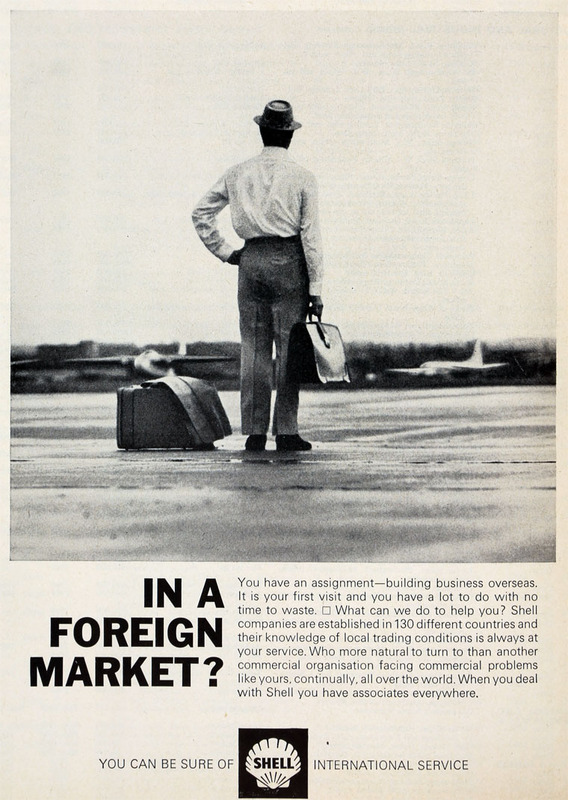 Marketing companies were formed throughout Europe and in many parts of Asia. Exploration and production began in Russia, Romania, Venezuela, Mexico and the United States. 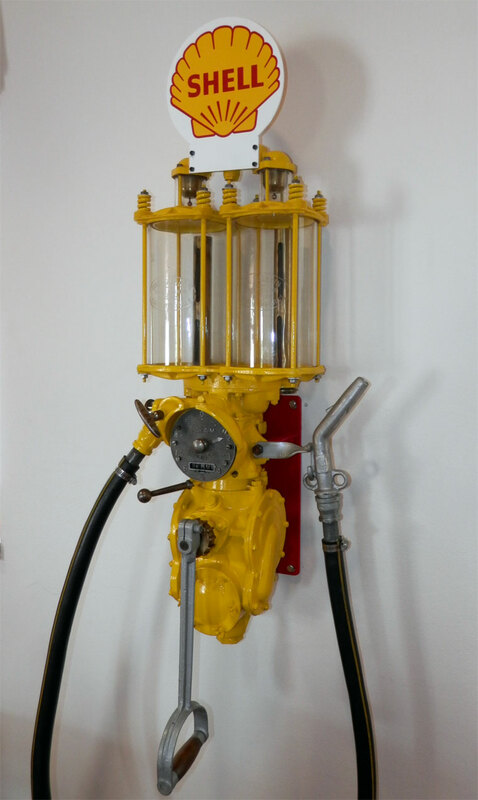 The first twelve years also provided many exciting opportunities to demonstrate the quality of the products in the new, fast-developing market for gasoline. 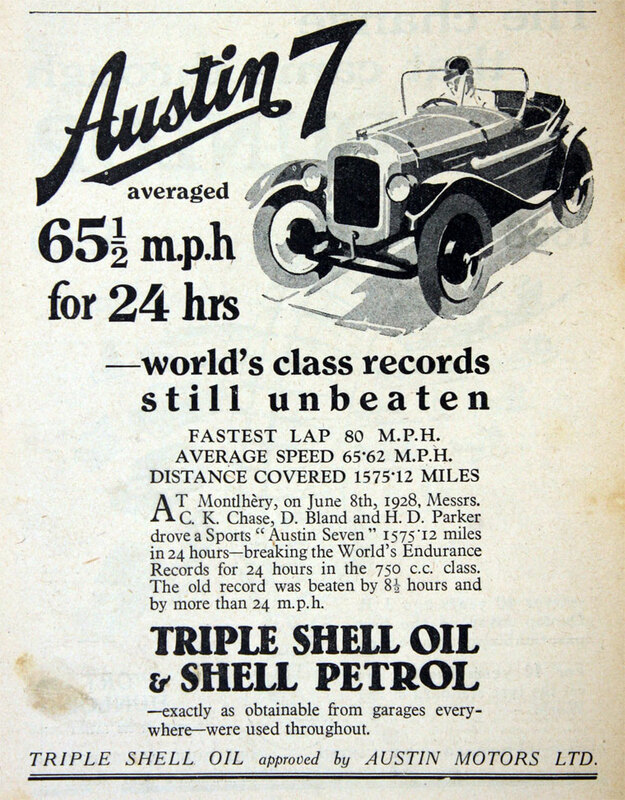 These included record-breaking races, flights and journeys of exploration. 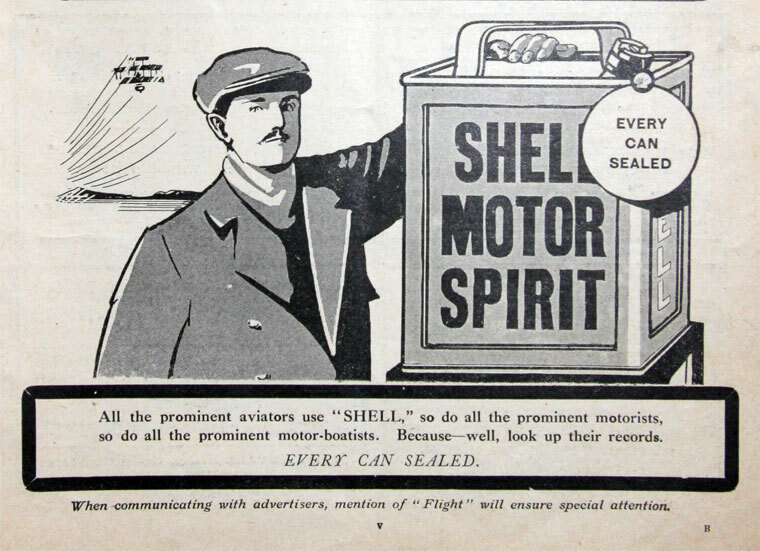 In 1907, Prince Borghese won the Peking to Paris motor rally on Shell motor spirit. 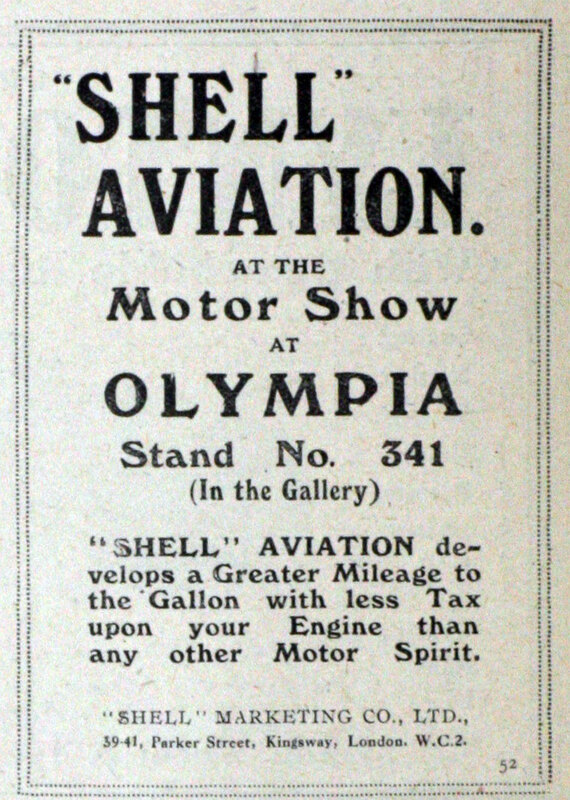 The same fuel was used at the Brooklands racing track in the UK. 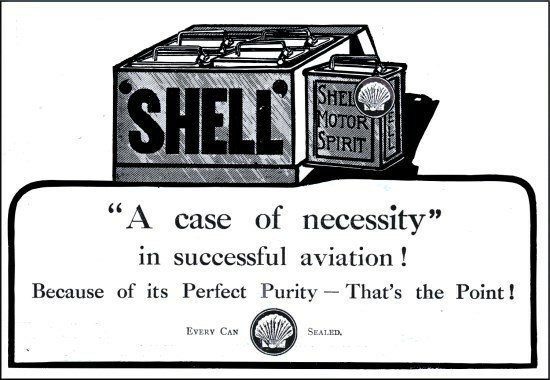 In the Antarctic, Shackleton and Captain Scott used Shell fuel, while Bleriot’s inaugural cross-Channel flight was made on Shell spirit. WWI. 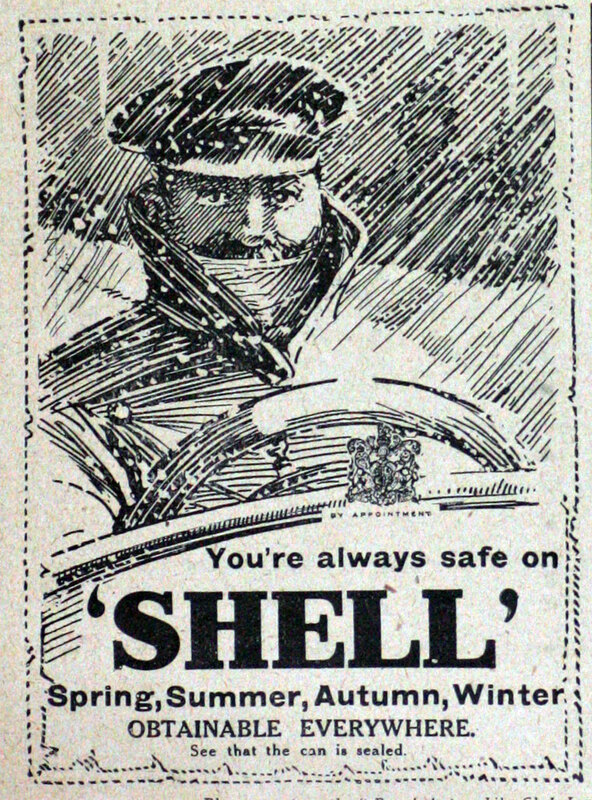 During the War, Shell became the main fuel supplier of the British Expeditionary Force and profited from increased after-war motor car use. 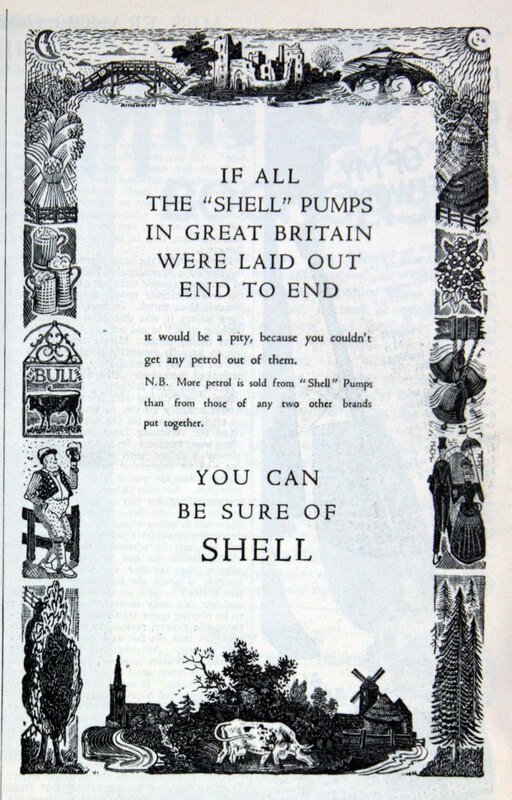 Shell made a major contribution to the Allies’ war effort as the main supplier of fuel to the British Expeditionary Force. 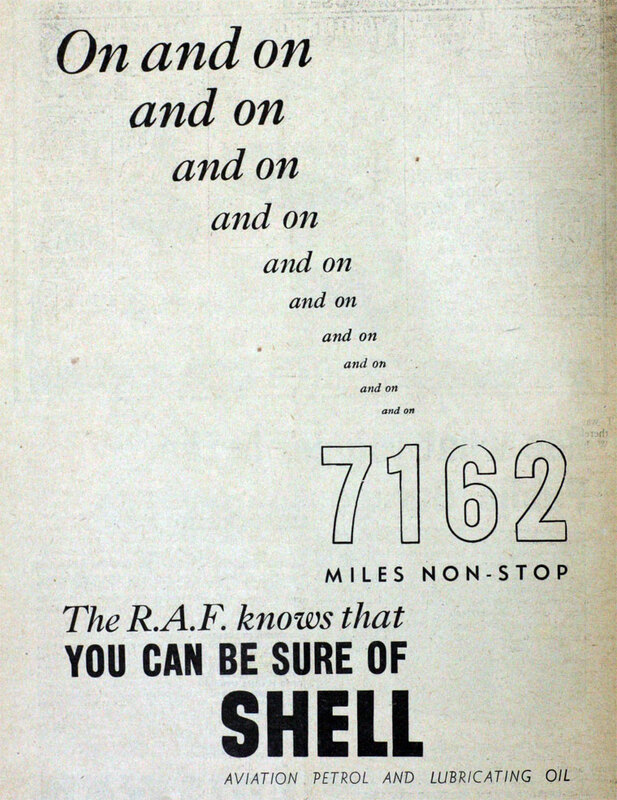 It was also the sole supplier of aviation fuel and provided 80% of the Army’s TNT. 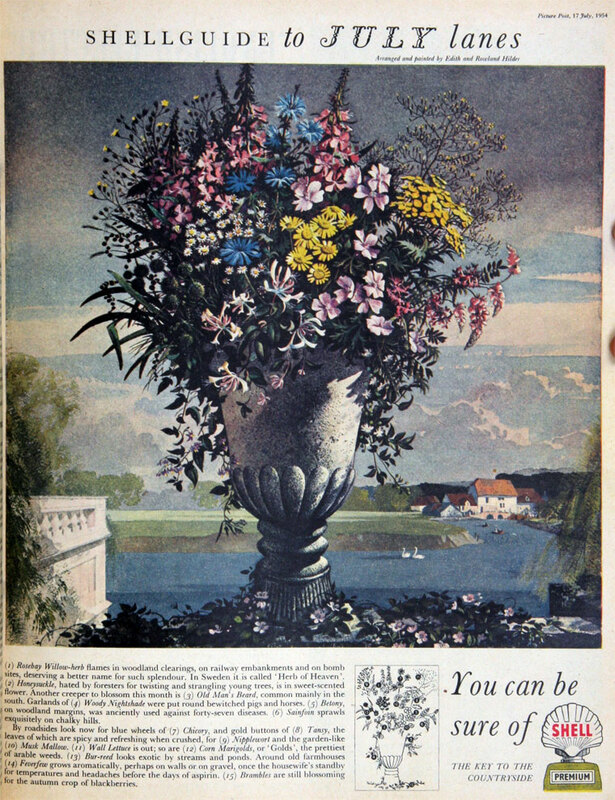 It volunteered all its shipping to the British Admiralty and enhanced its reputation and profits while it continued to develop in parts of the world unaffected by the conflict such as in Venezuela, Mexico and Sarawak. The war confirmed the supremacy of oil-fired transport over the slower and less flexible railway system that the Germans relied on. 1916 The German invasion of Romania, saw 17% of the Group’s worldwide production destroyed in a few days, while the Russian revolution saw all its assets seized. 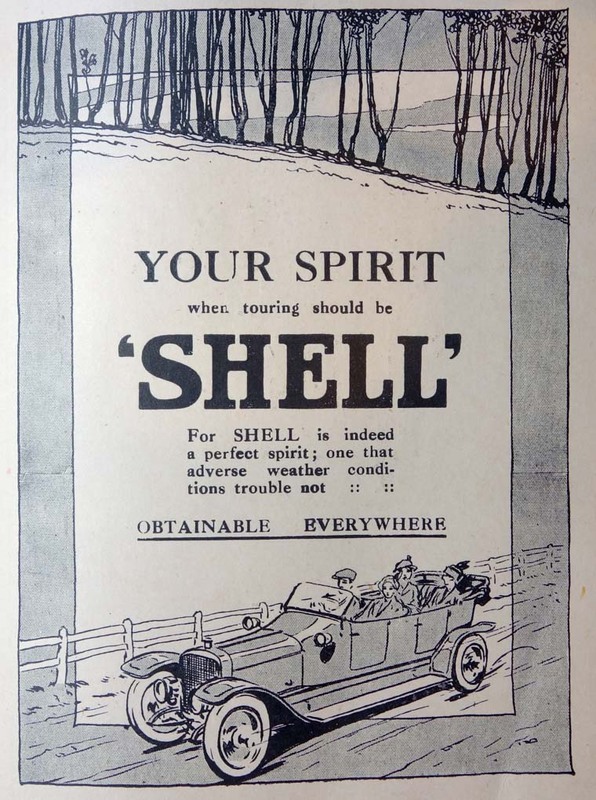 1916 Shell had a distribution agreement with British Petroleum in the UK which continued until 1917; the German connection of British Petroleum was causing great harm to the business so Shell had set up its own marketing company that would handle the marketing of products from 1 January 1917. 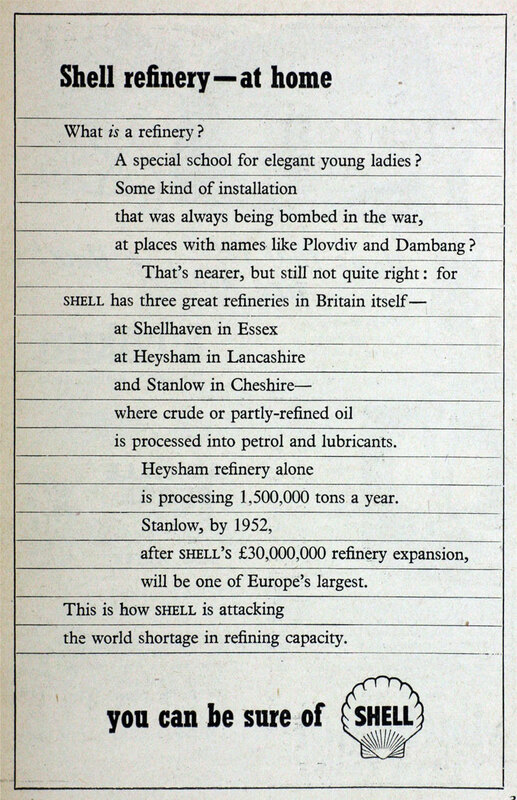 1916 Refinery opened at Shell Haven, Essex. 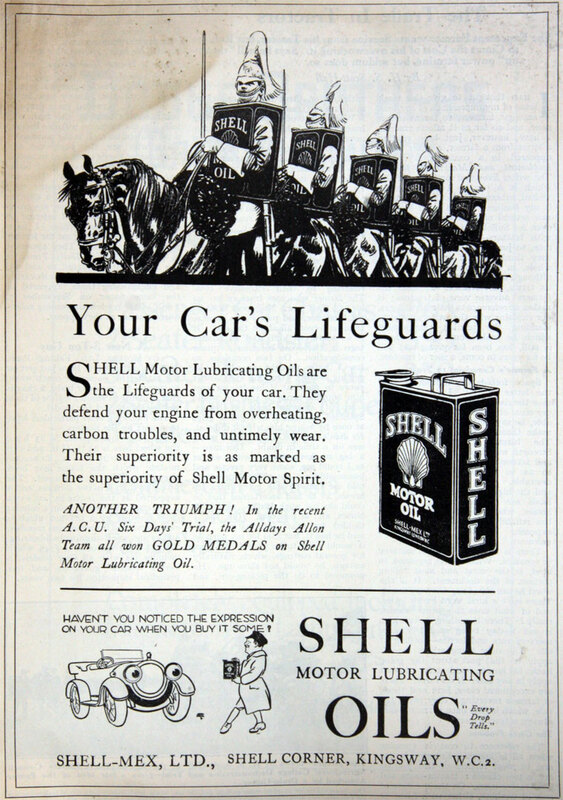 1917 Shell Marketing Co became a member of the Pool Board, set up by the government to control distribution of petroleum products. 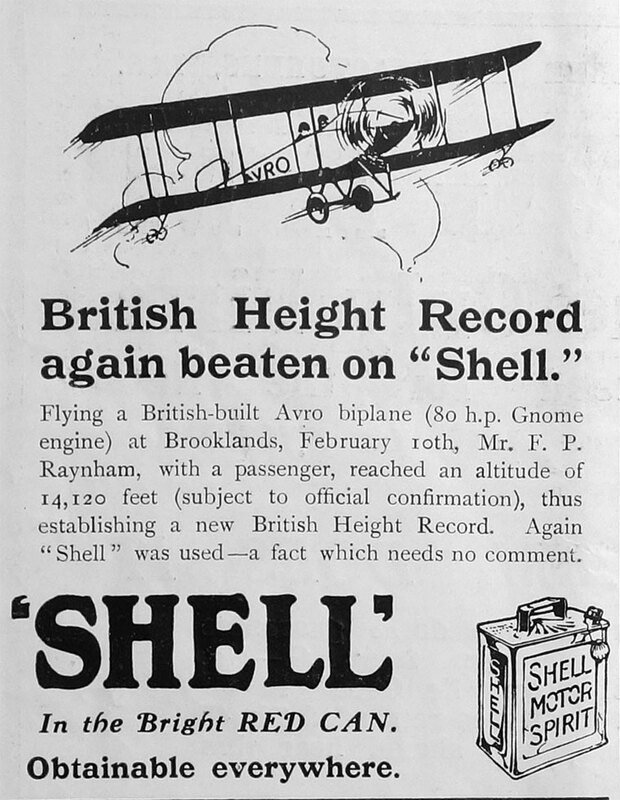 1919 Alcock and Brown used Shell fuel to make the first trans-Atlantic flight. Post WWI. 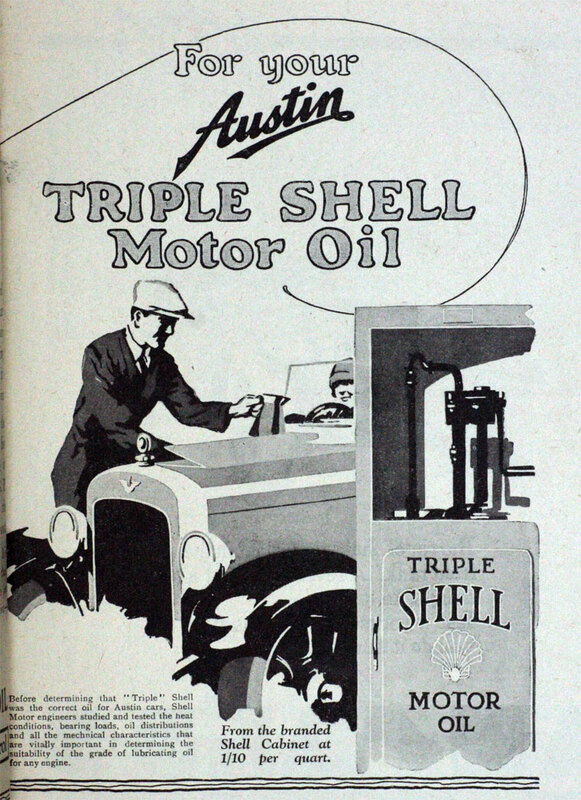 The inter-war years saw great advancements and the use of motor cars and demand for gasoline increased. There were huge gains also as major oil fields were discovered in California, South America and the Middle East, notably Iraq and Saudi Arabia. 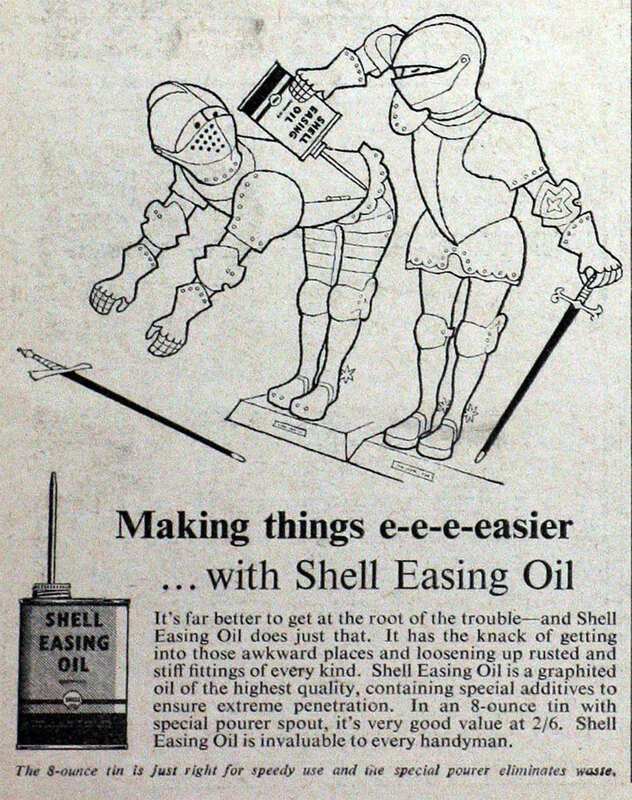 Drilling techniques also improved. 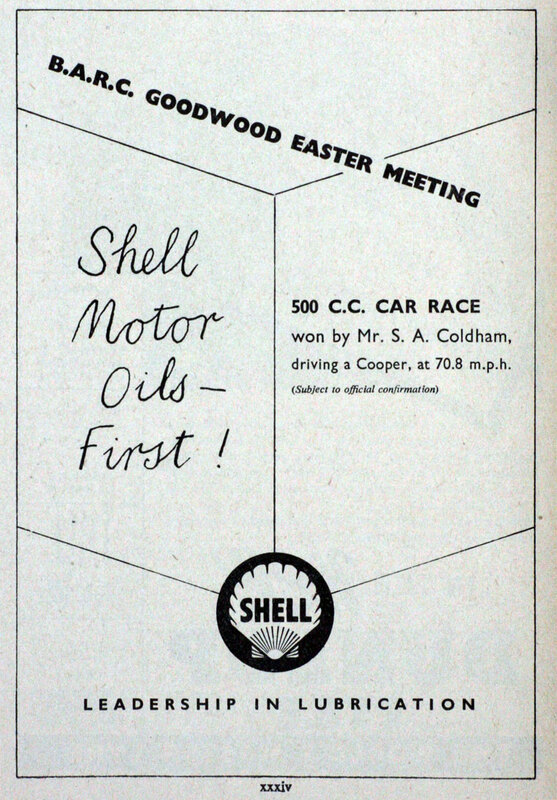 Shell needed to find further outlets for its products so, soon after the war, it bought into Bowring Petroleum Co, which controlled the Mex trade name. 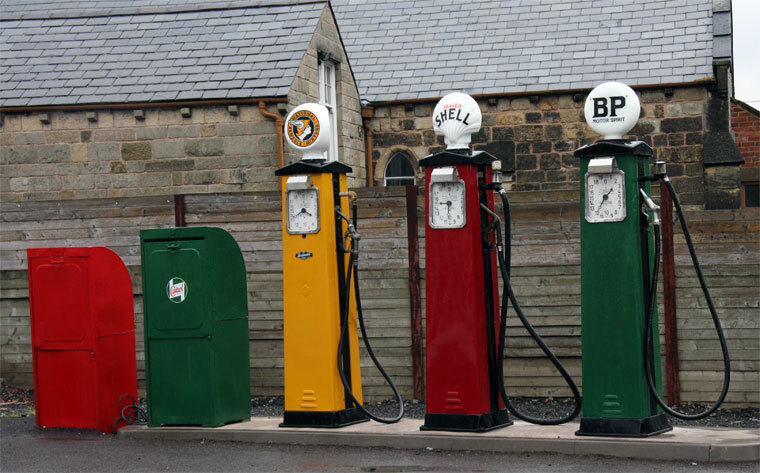 Petrol was sold in two-gallon cans - there were no petrol filling stations in Britain until 1919. 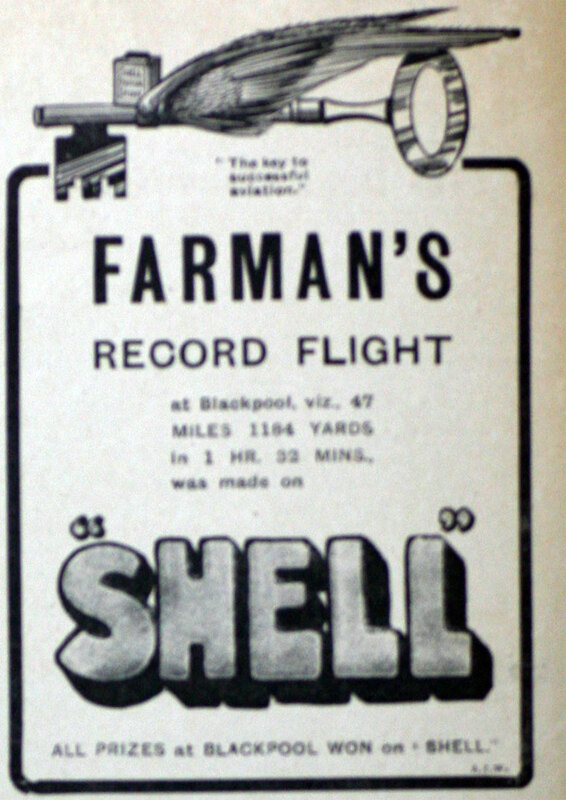 1924 Opened refinery at Stanlow, Cheshire. 1927 January 17th. Sir Marcus Samuel 'principal actor in the foundation of Shell Transport and Trading Company died. 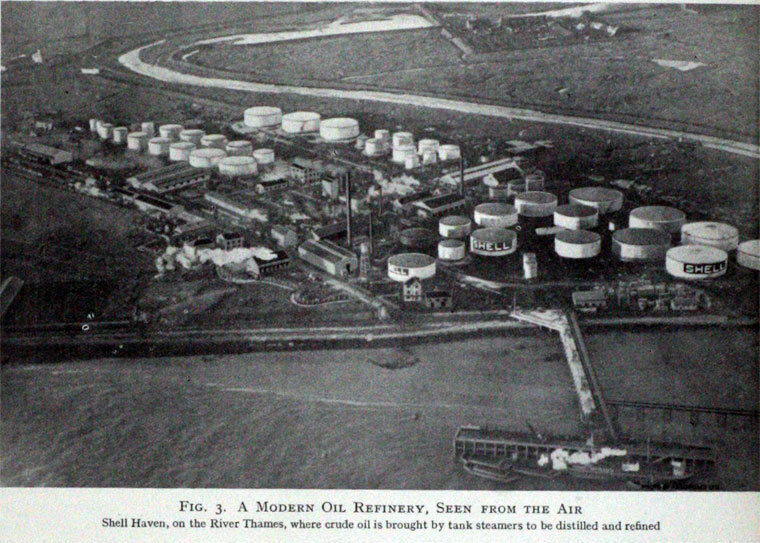 1928 Opened refinery at Ardrossan, Ayrshire. 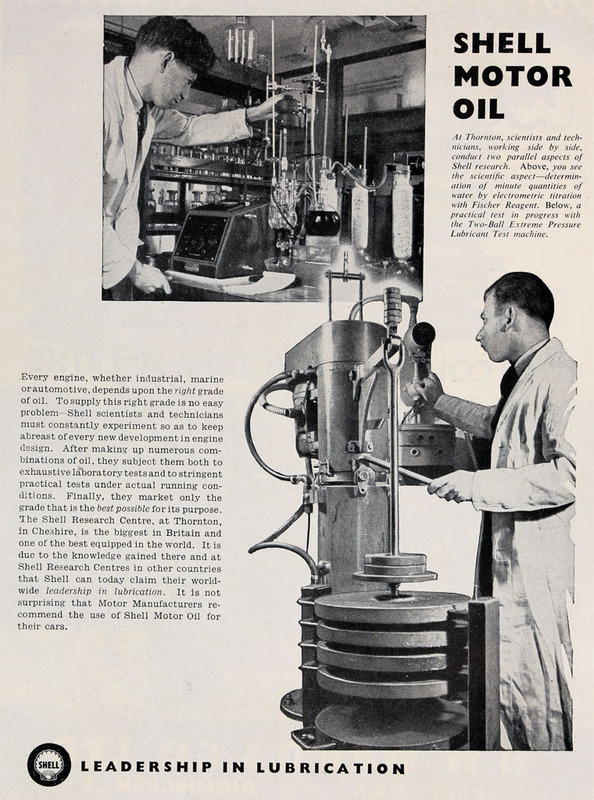 1929 Started to make chemicals from oil, via a partnership in the Netherlands called NV Mekog, which manufactured ammonia from coke-oven gas. 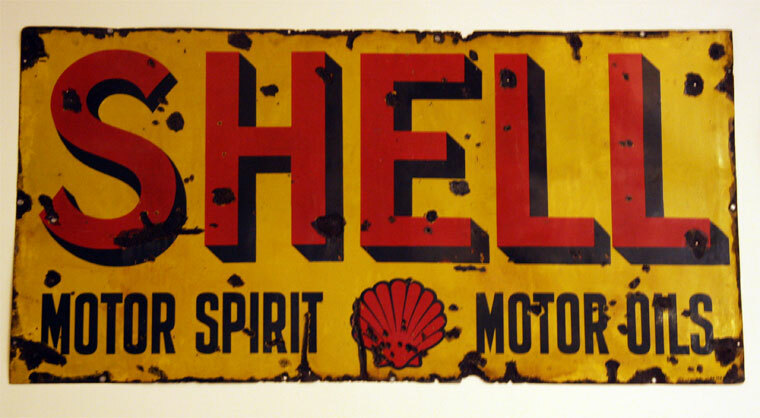 Meanwhile, in the United States, the Shell Chemical Co (founded 1929) began the world's first production of ammonia from natural gas in California in 1931. 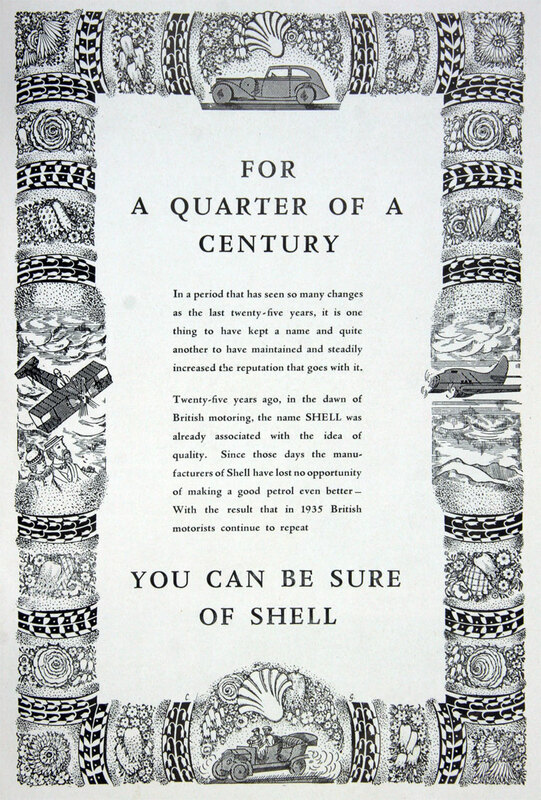 By the end of the 1920s Shell was the world’s leading oil company, producing 11% of the globe’s crude oil supply and owning 10% of its tanker tonnage. 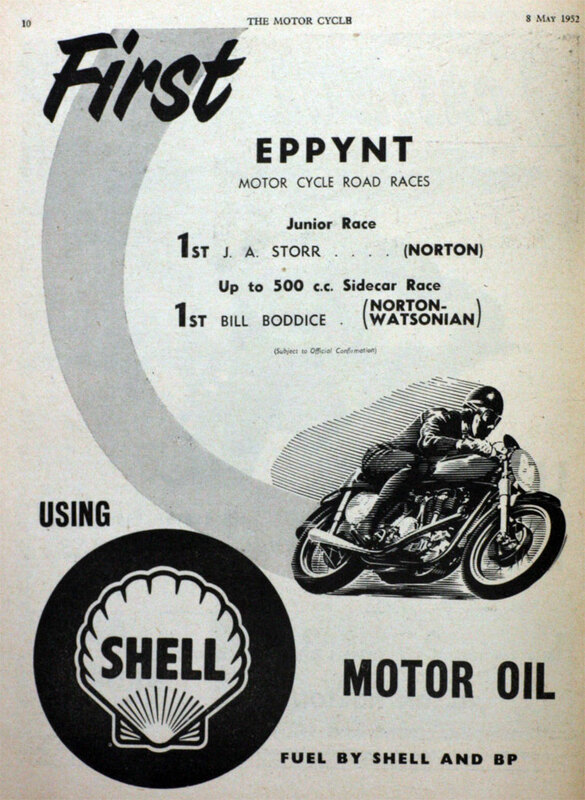 1931 Joint marketing and distribution company formed in the UK involving Shell-Mex and BP, to be called Shell-Mex and B. P.. 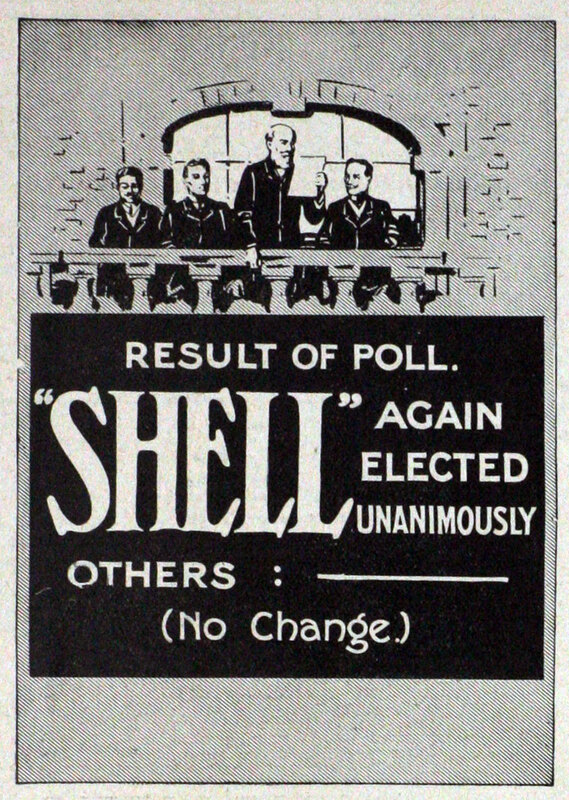 Shell owned 60% and BP owned 40%. 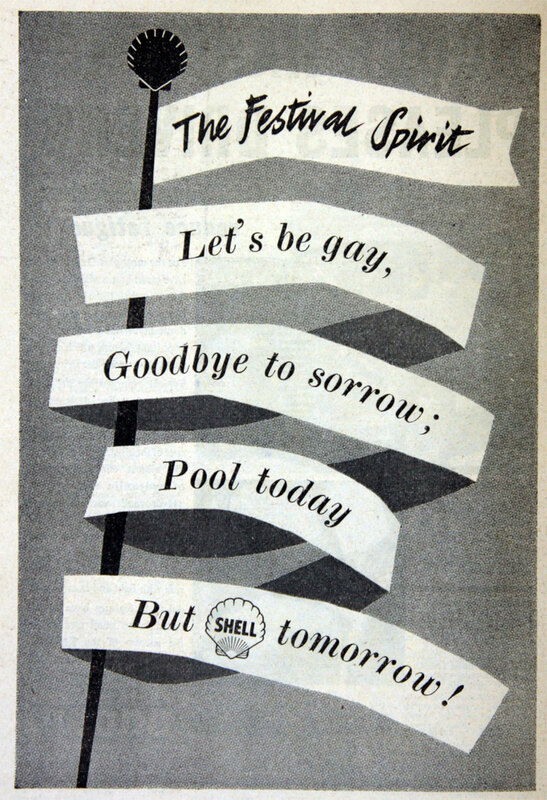 The 1930s depression forced Shell to reduce its staff and impose financial cuts. As a mark of confidence, the Group purchased a large riverside plot on the Thames in London to build Shell-Mex House, one of the Group’s landmark buildings round the world. 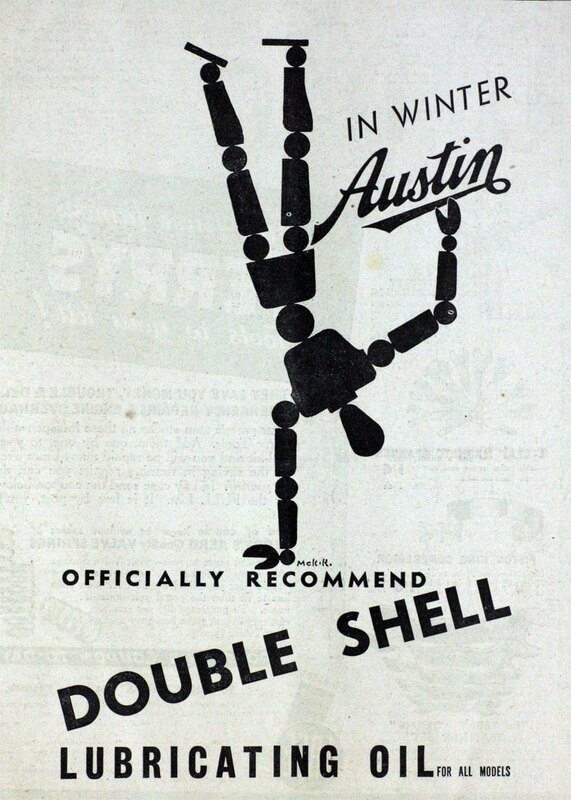 The Shell-Mex company handled all the marketing of Shell’s products. World War II led to the destruction of a lot of its properties. Shell’s assets in Mexico were seized and to avoid a similar fate in Venezuela it was forced to concede generous terms to the government. 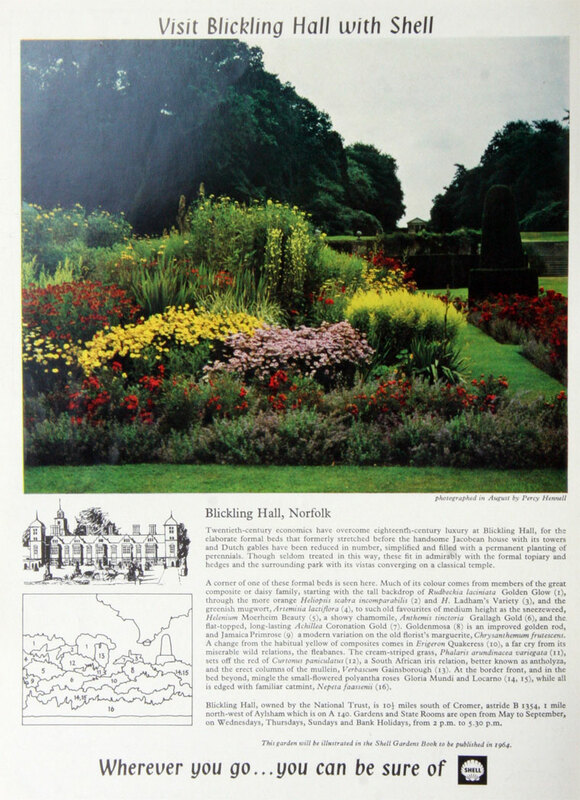 In Europe the rise of the Nazis posed a threat to the Group’s Dutch assets. With the invasion of Holland after the outbreak of war in 1939, the head offices of the Dutch companies were moved to Curacao. 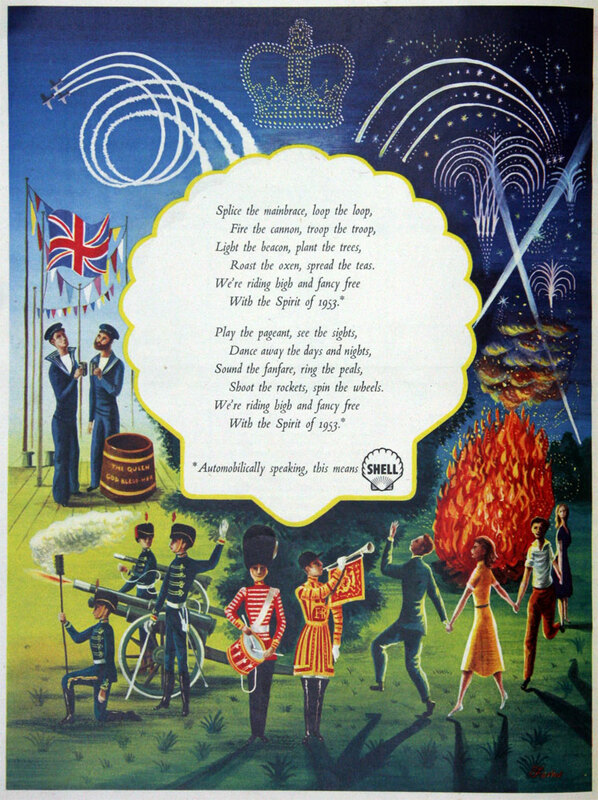 The London office remained open but was dedicated to supporting the British war effort. 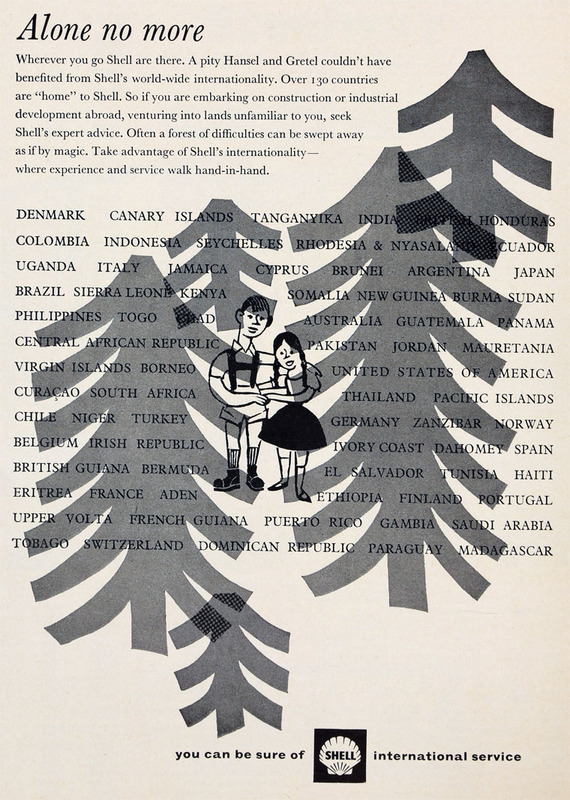 Properties in Eastern Europe were destroyed, particularly in Germany, and access to Romania was lost. 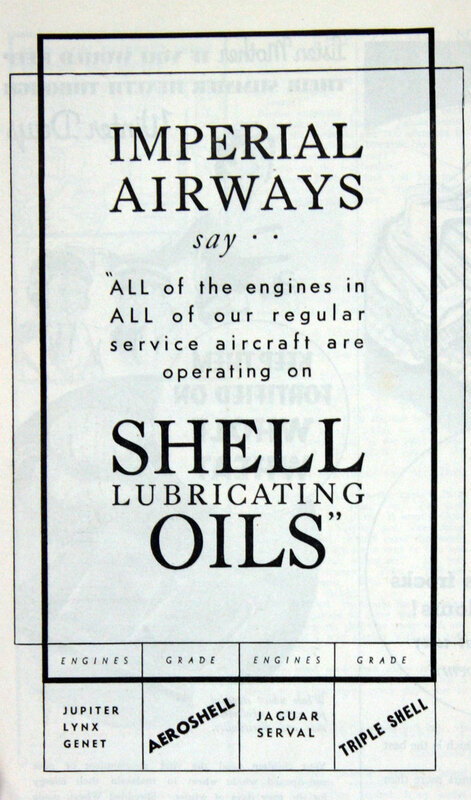 The US refineries produced aviation fuel to support the Allied air forces. 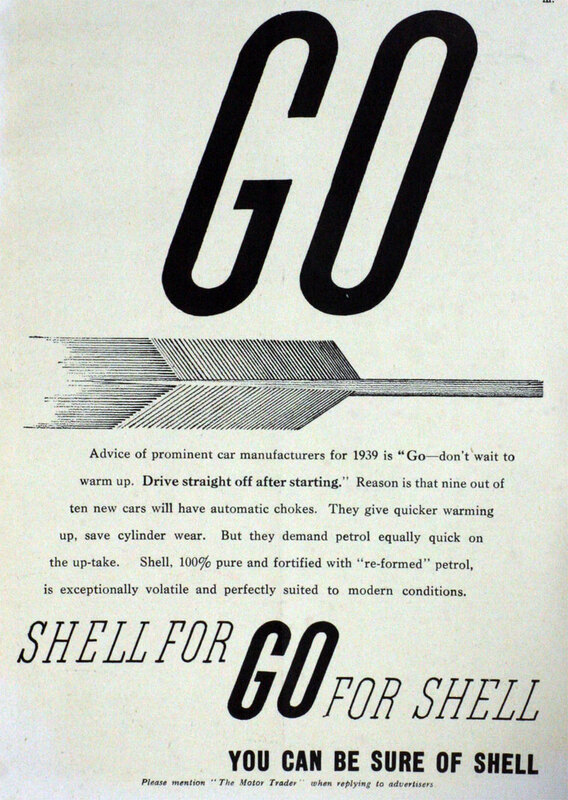 Shell Chemical Corporation produced butadiene for synthetic rubber, a vital commodity. 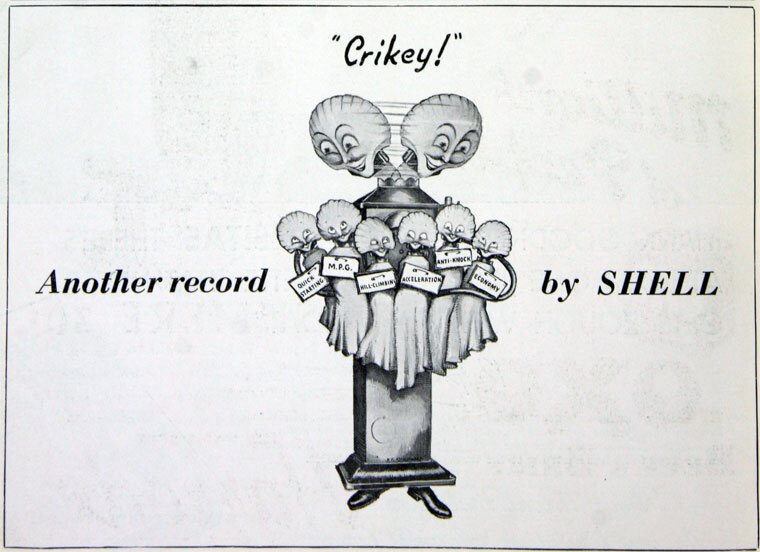 All tankers came under Government control and Shell losses were heavy, totalling 87 ships. 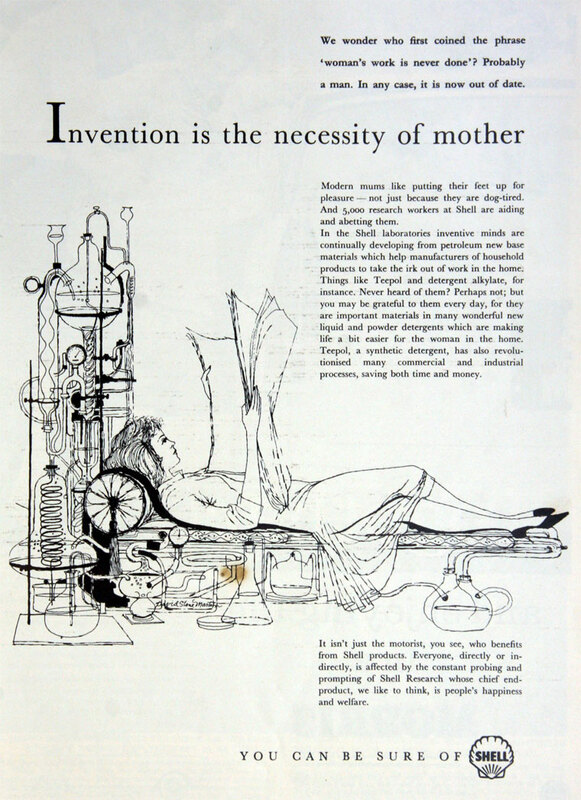 1941, production of Teepol liquid detergent began at Stanlow in Cheshire, the first manufacture of a petroleum-based organic chemical in Europe. 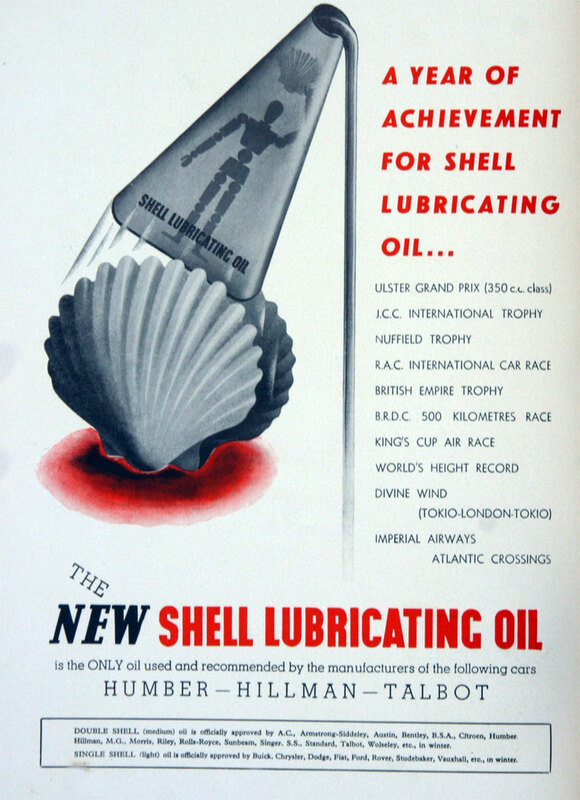 In the decades that followed, the companies that grew into Shell Chemical Co played a major part in the growth of the petrochemicals sector and developed some of its key manufacturing processes. 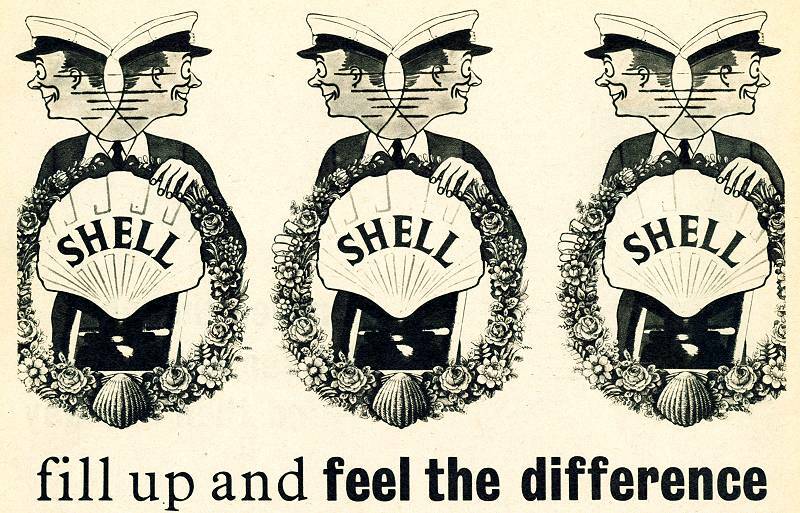 Shell's post-war years were marked by reconstruction and expansion. 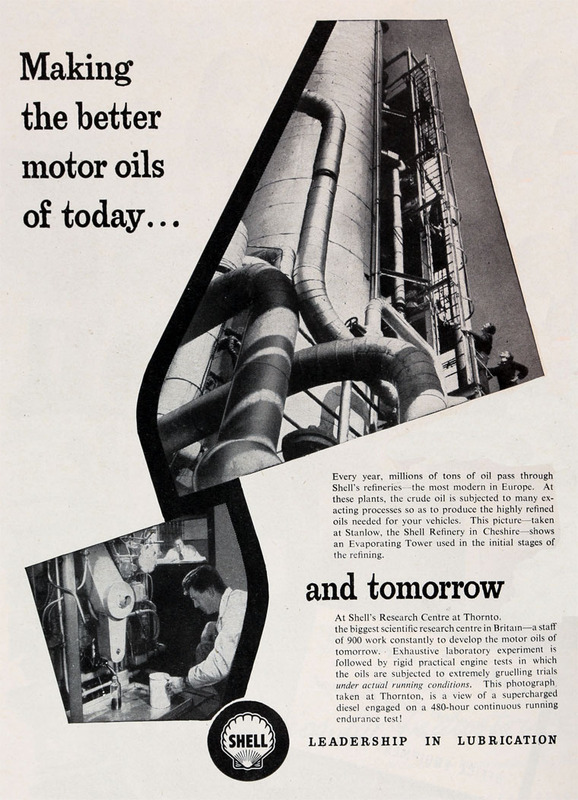 Scientific advances and a growing number of cars in the US led to an exploding oil demand. 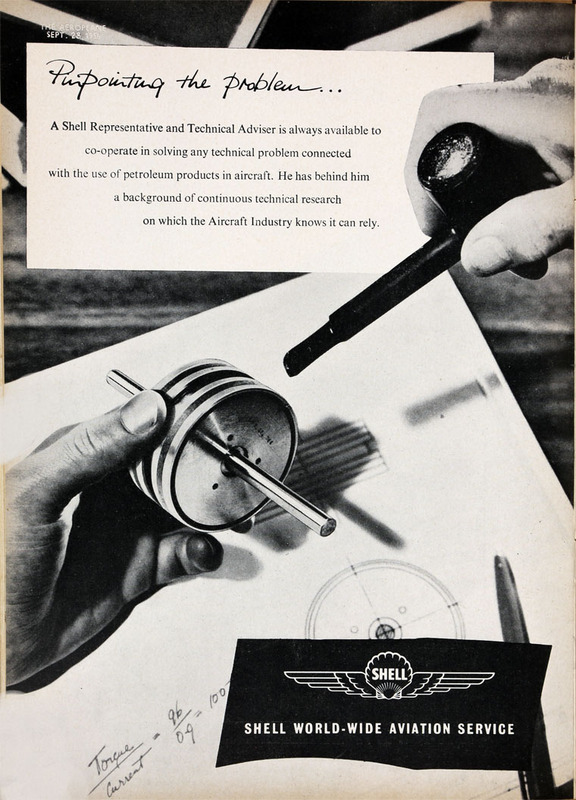 Shell contributed to the invention of the jet engine. 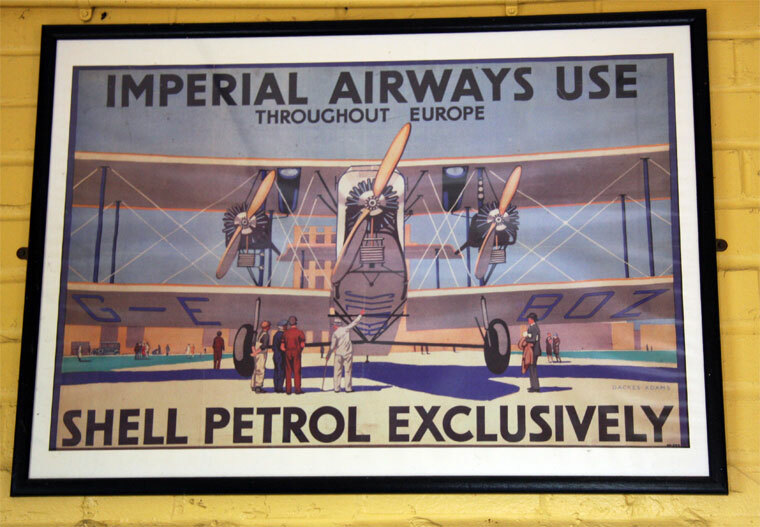 New programmes of exploration began in Africa and South America and new refineries were built in the UK. Shipping became larger and better powered so that more bulk could be carried. The supertanker was born. 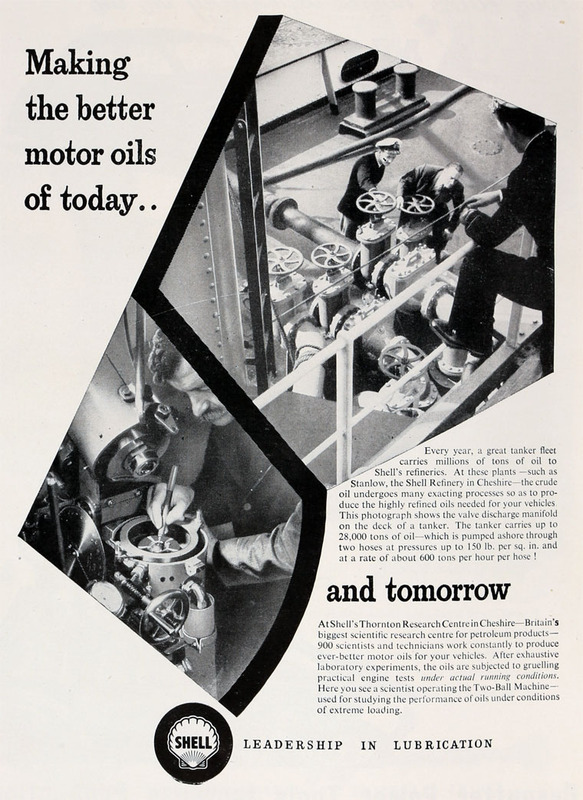 The return of peace brought an explosion in civilian demand for oil products – particularly for gasoline in the USA, where the number of cars rose by 60% between 1945 and 1950. To end its supply bottlenecks, Shell formed an alliance with Middle East Gulf Oil, giving it a substantial stake in this increasingly important region. 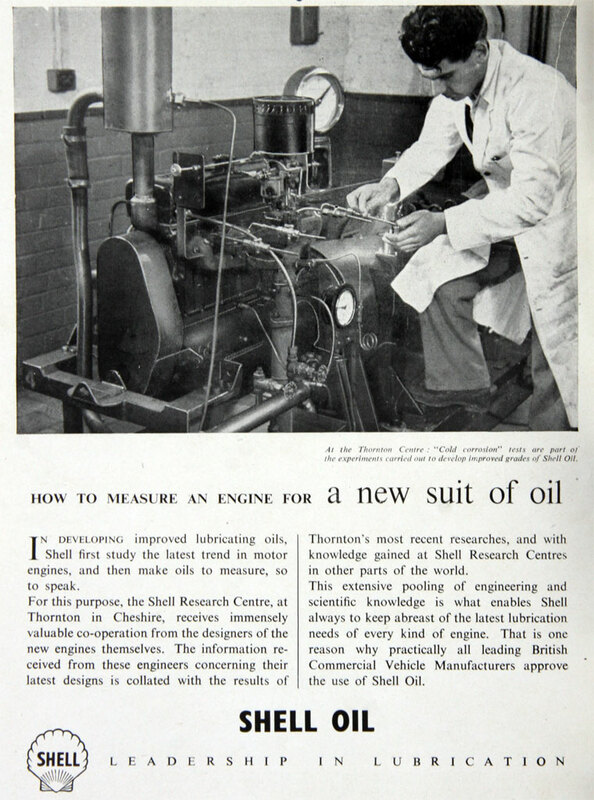 1947 The first commercially viable offshore oil well was drilled in the Gulf of Mexico. 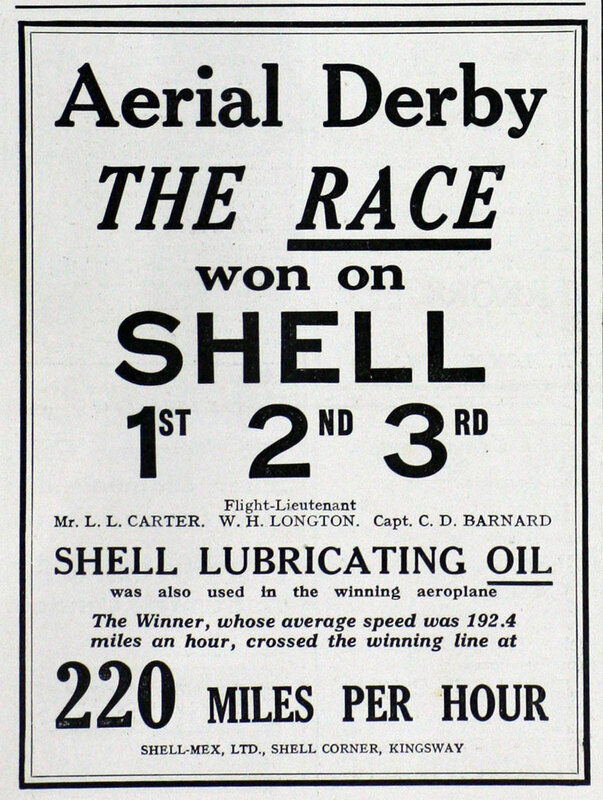 Two years later Shell drew its own first subsea oil there. 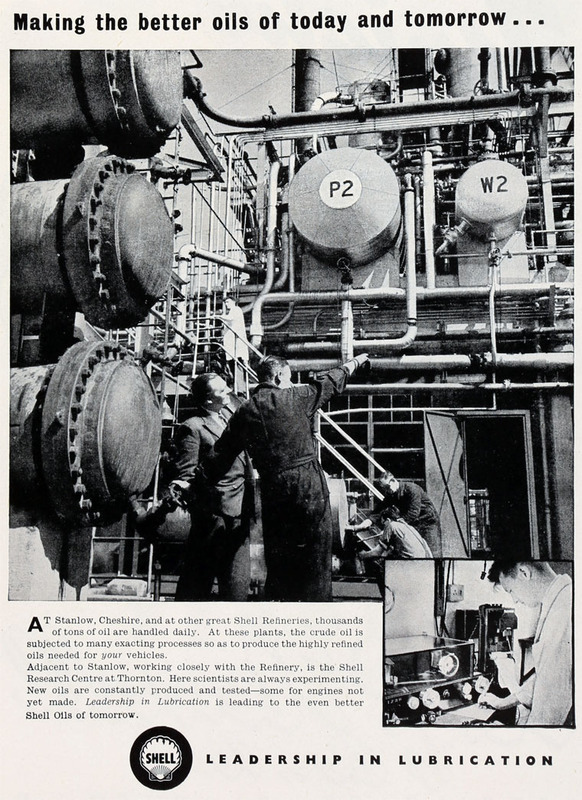 1948 Opened refinery at Heysham, Lancs. 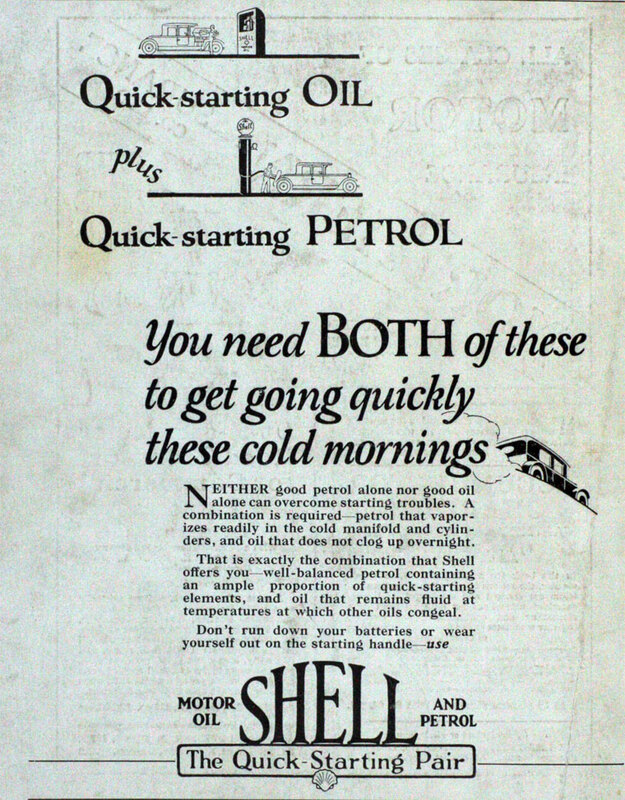 1950 Shell formed a partnership with Ferrari in Formula One to help develop its lubricants – a partnership which endures to this day. 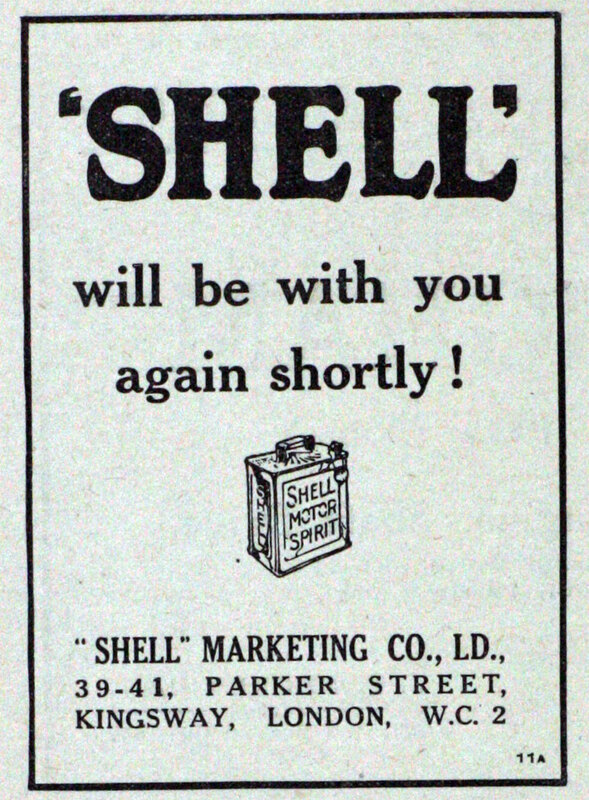 1953, as rationing finally ended, Shell in the UK was allowed for the first time since the war to sell petrol under its own brand name. 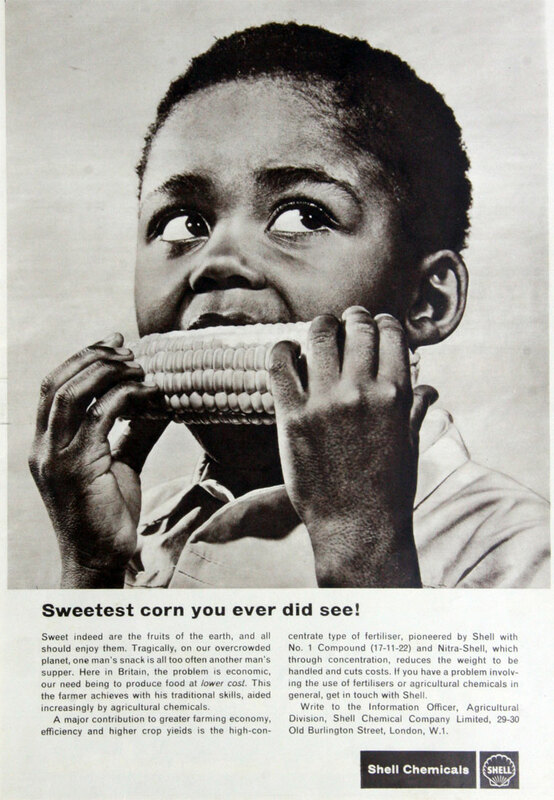 It prompted a huge advertising campaign. 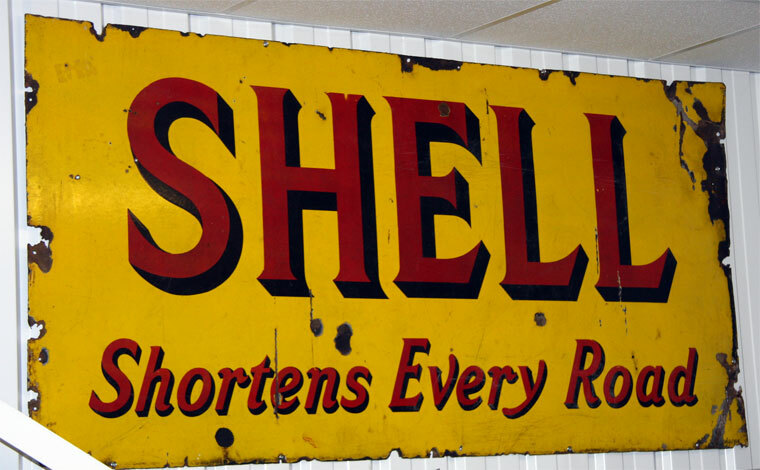 By 1955 Shell had 300 offshore wells, mostly in the Gulf. But there were also new discoveries in the Niger delta and in Borneo. 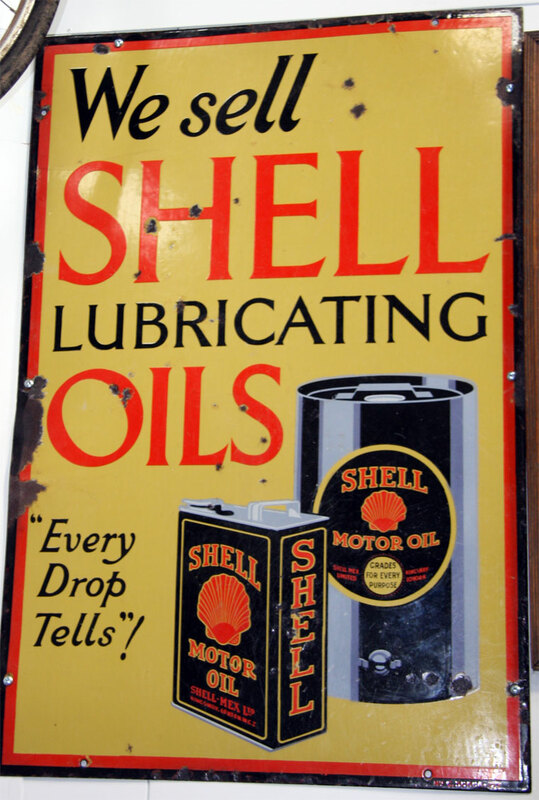 1958 Commercial production of oil in Nigeria began. 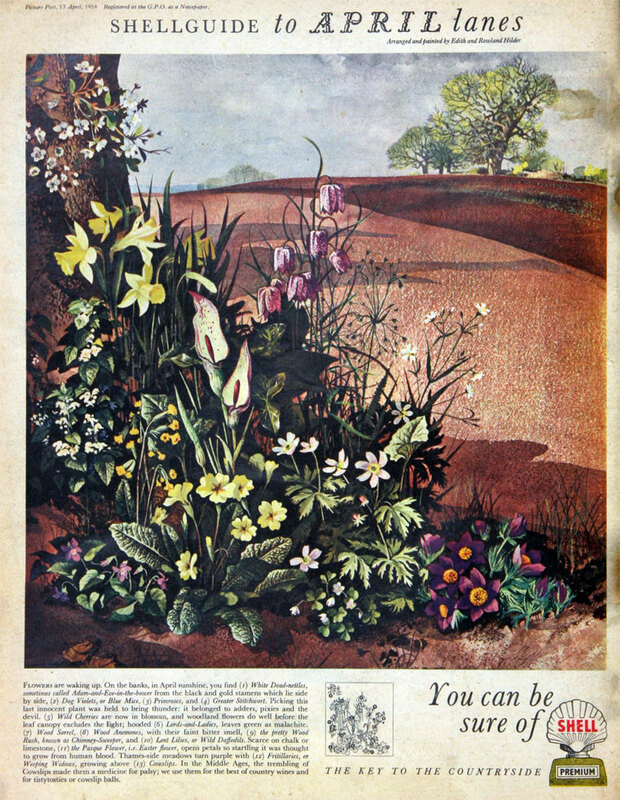 Late 1950s the Group’s structure was reorganised, with new operating companies created below the two holding companies and the setting up of a Committee of Managing Directors to set direction. This structure was to survive for almost 40 years. 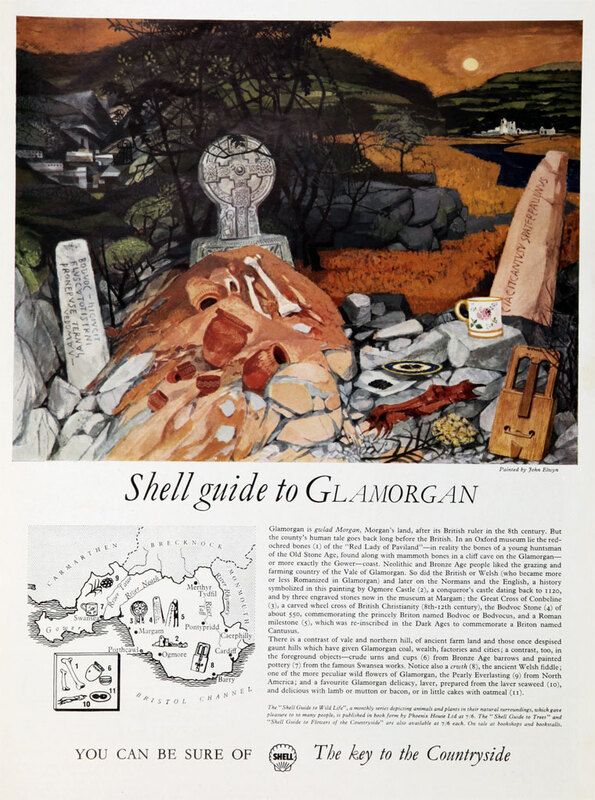 1963 In tandem with this reorganisation, work began in London on a major new headquarters building for Shell Transport, Shell Centre. 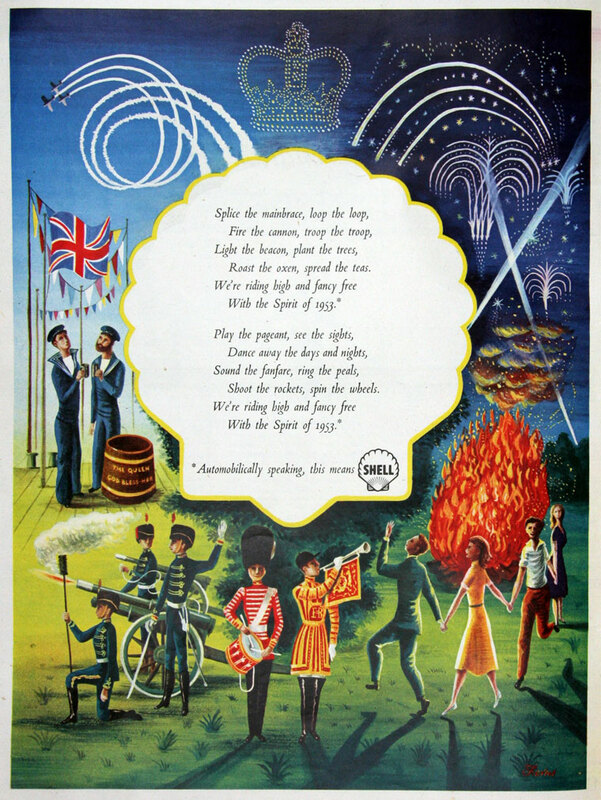 When it opened in 1963 it was London’s tallest building. 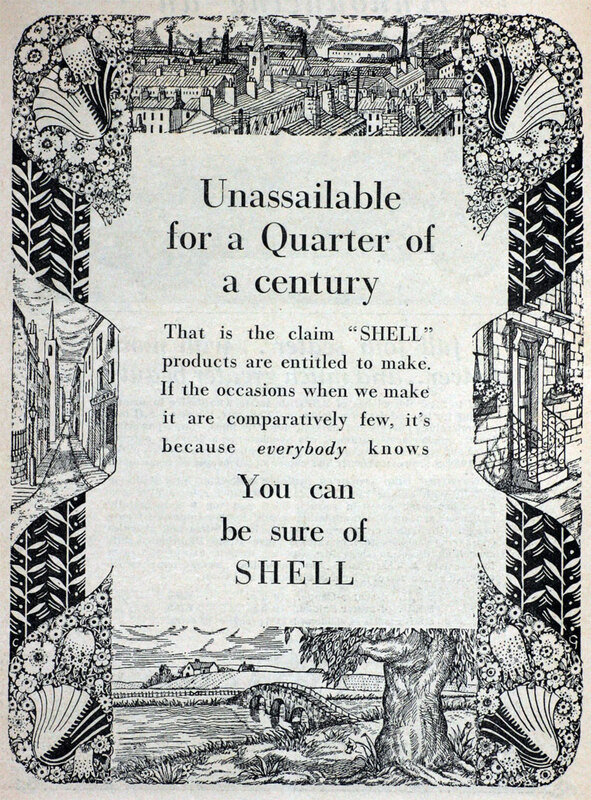 Other new Shell buildings went up around the world, in Melbourne, Toronto and Caracas. 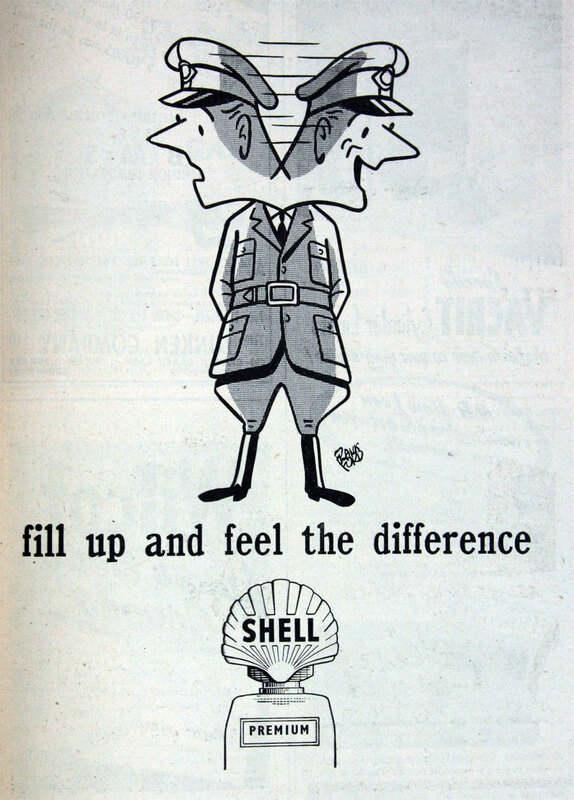 The 1960s strengthened Shell’s presence in the Middle East. 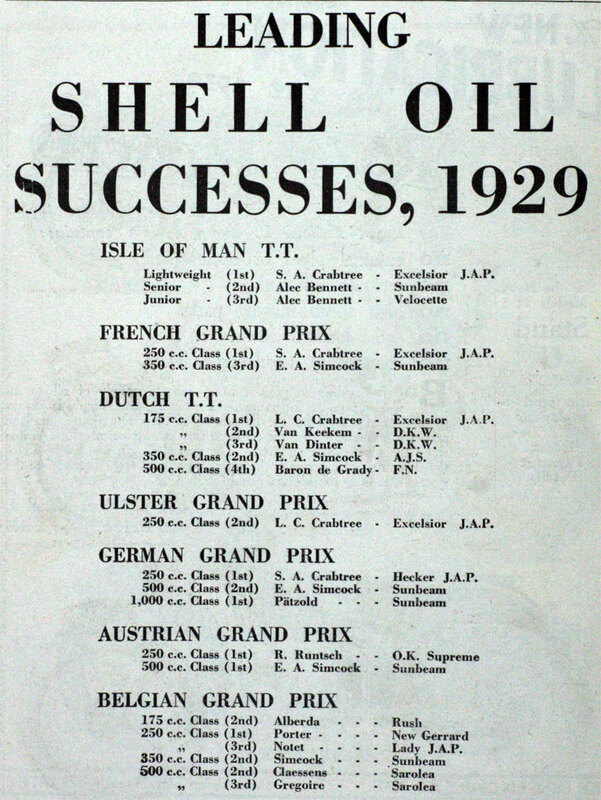 The Dutch Groningen gas field and North Sea gas were discovered and Shell Chemicals entered a golden period for research, and it employed a number of distinguished scientists. 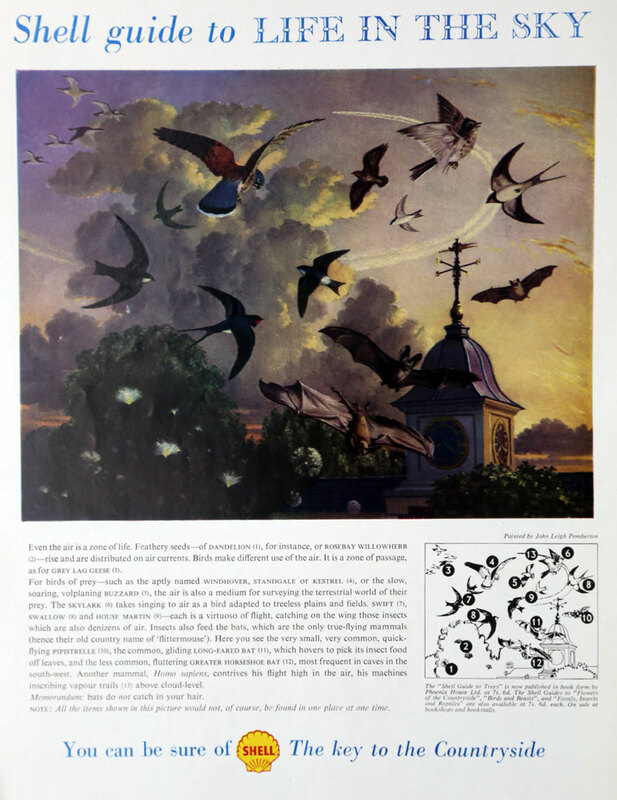 Among many inventions and discoveries in its laboratories were epoxy resins, insecticides including Vapona fly spray, herbicides and liquid detergents. 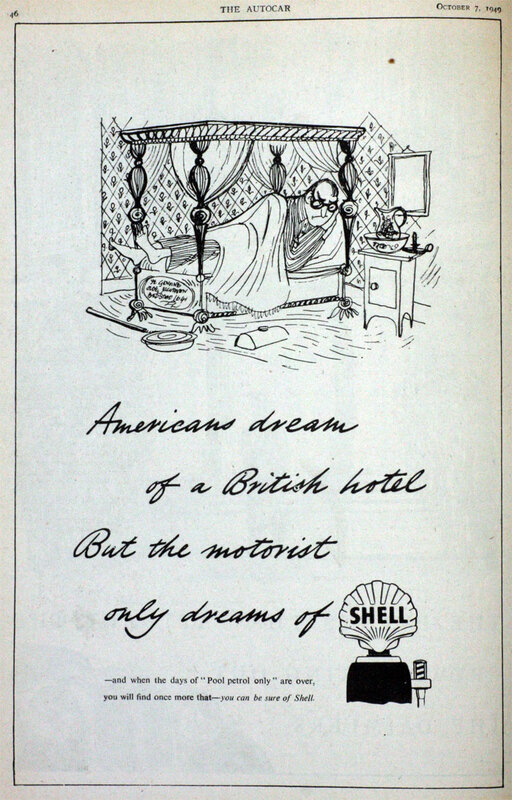 During the 1960s, Shell took the decision to internationalise the company. A policy of placing local people in top positions in a given country was adopted. 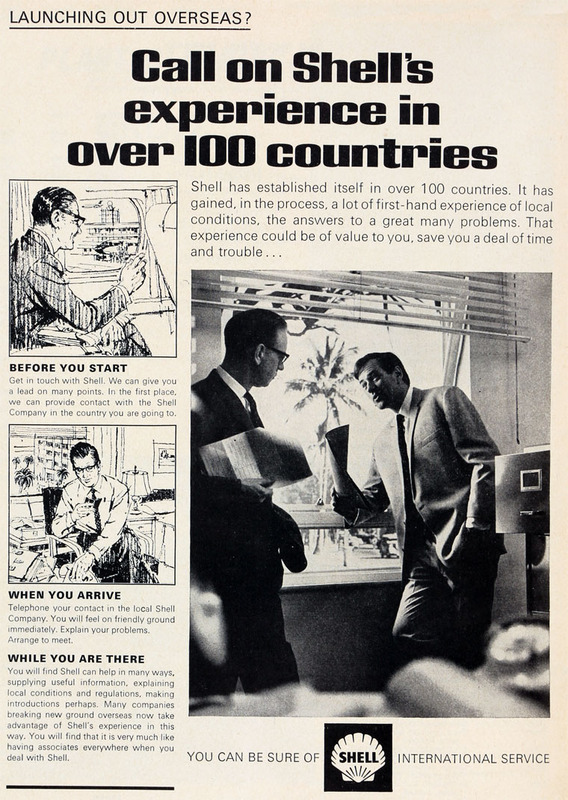 1967 The closure of the Suez Canal for eight years, confirmed the wisdom of the decision to invest in supertankers. 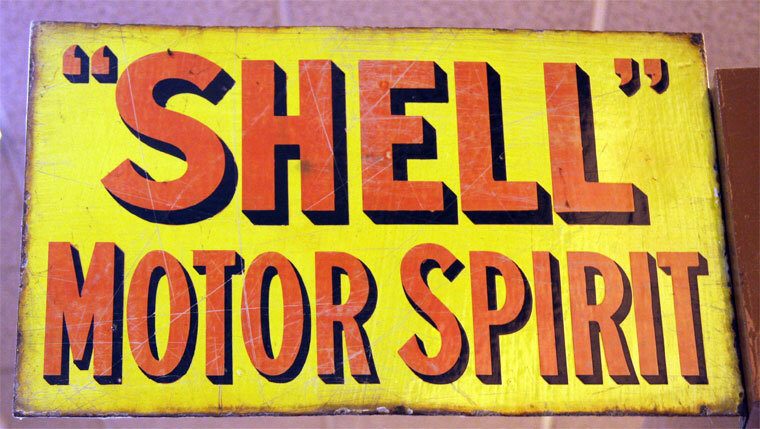 The worldwide spread of its business and its operating flexibility enabled Shell to survive the disruption to supplies caused by the difficulty of transporting oil from the Middle East. 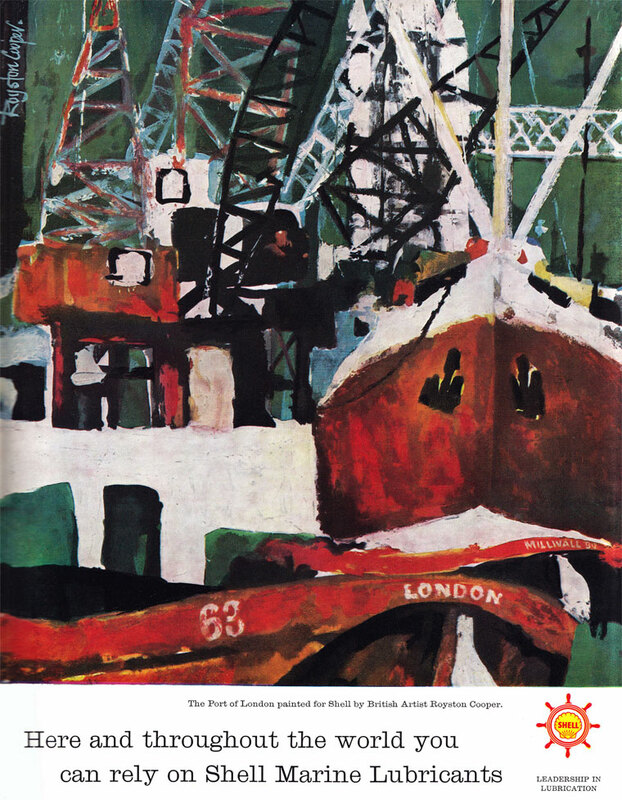 1968 Opened refinery at Teesport, Yorkshire. 1969 Colonel Ghaddafi took power in Libya after a coup. Libya at that time was the source for a quarter of all the crude oil consumed in Europe but the new government cut production and increased prices. 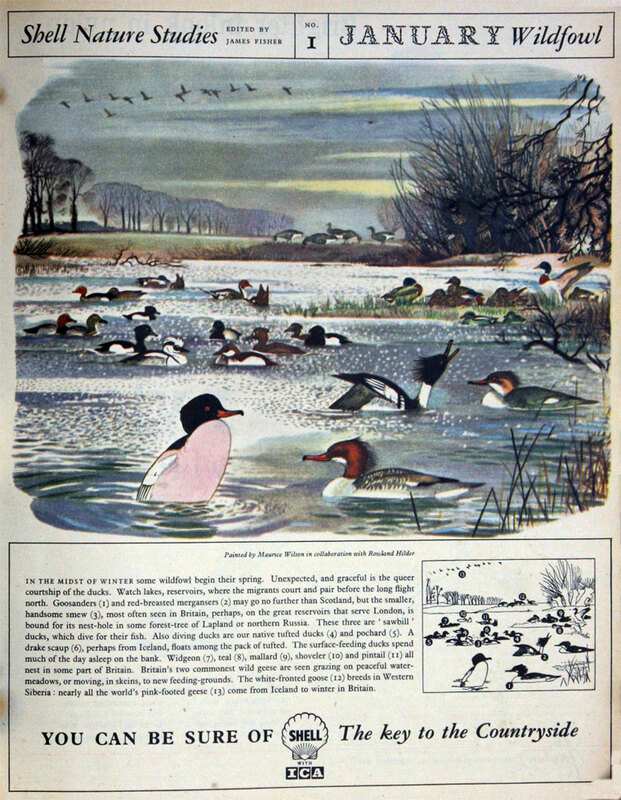 This was the breaching of the dam and every other producing nation threatened to follow suit. 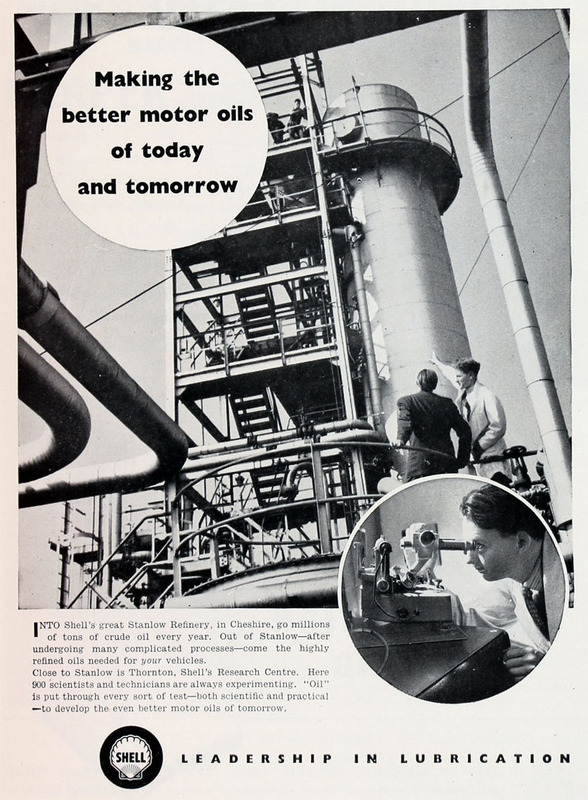 The 1973 oil crisis brought cheap energy to an end. The Yom Kippur war brought the crisis to a head. Within a matter of weeks, the OPEC producing countries quadrupled the price of oil from $3 per barrel to $12 per barrel and for two months imposed a supply boycott. The effects on the Western world were economically catastrophic, driving inflation to unforeseen heights and plunging trade into recession. An era of cheap energy had come to an end and oil was no longer a buyer’s market. 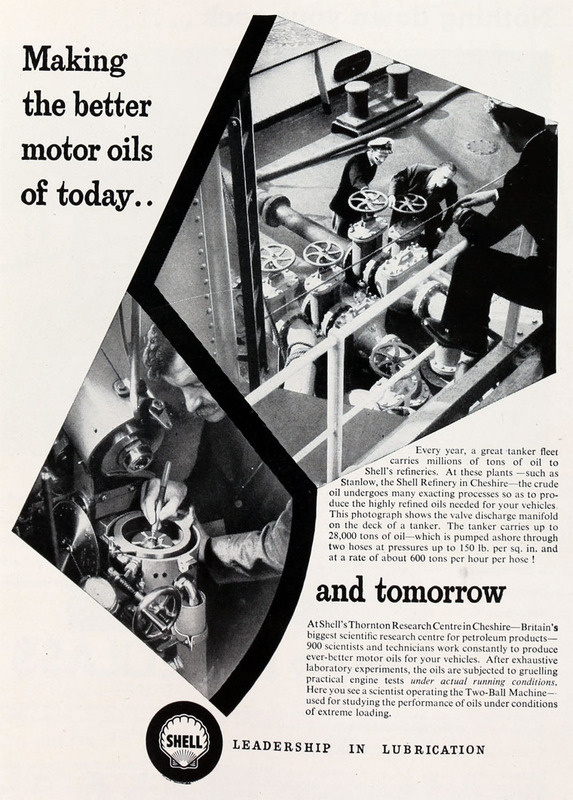 Shell moved into nuclear energy by forming a partnership with Gulf Oil to manufacture gas-cooled reactors and their fuels. 1979 The nuclear accident at Three Mile Island in the USA set that industry back by decades. 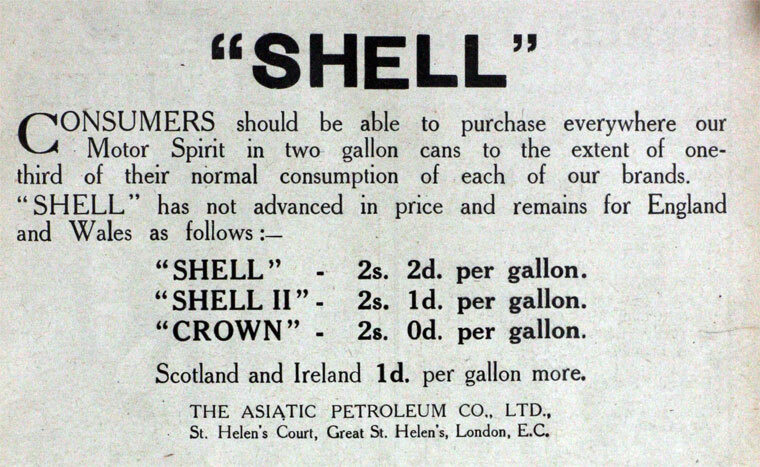 The following year Shell sold its interests. 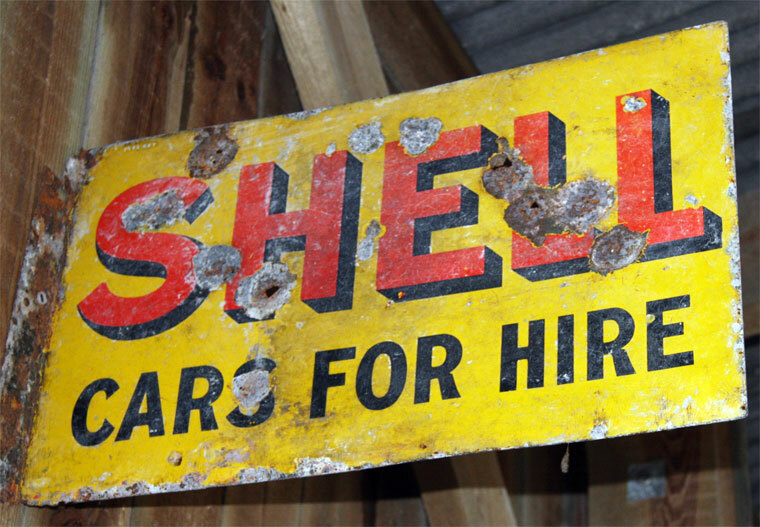 Throughout the 1970s, Shell worked to develop the oil fields in the North Sea. This was the most difficult offshore work the Group had ever undertaken. 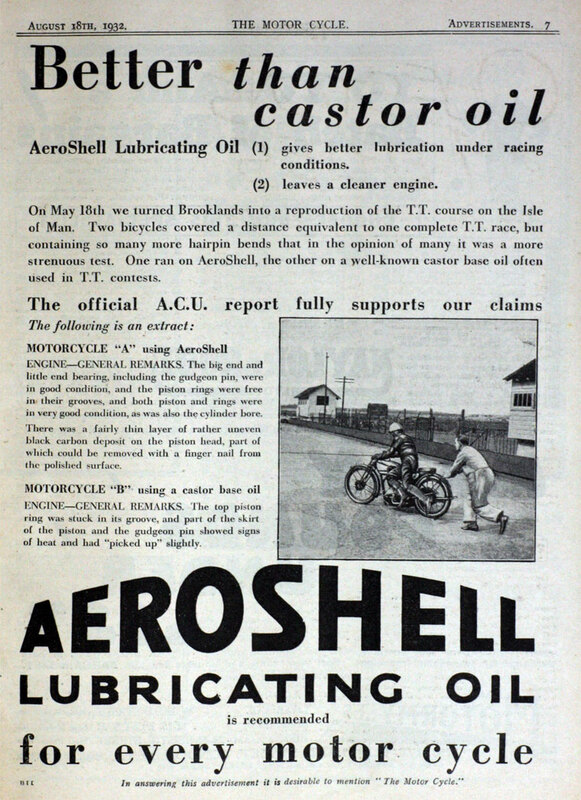 Although the water is not particularly deep, adverse weather conditions and the instability of the sea-bed necessitated a huge investment to extract the oil. Reduced supplies from the Middle East, however, and the size of the fields in the North Sea justified the cost. 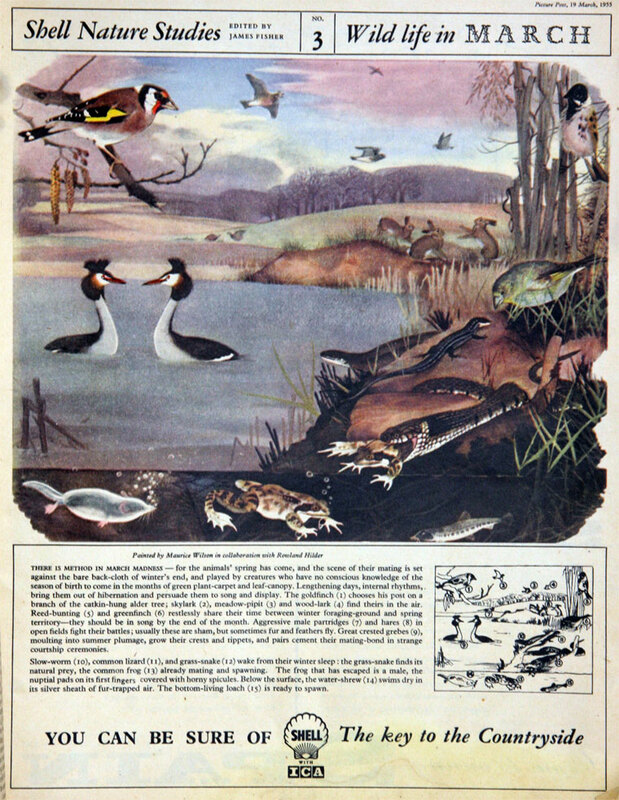 The Amoco Cadiz disaster ended the decade. This tanker ran aground the coast of France and broke up, spilling its entire crude oil cargo. 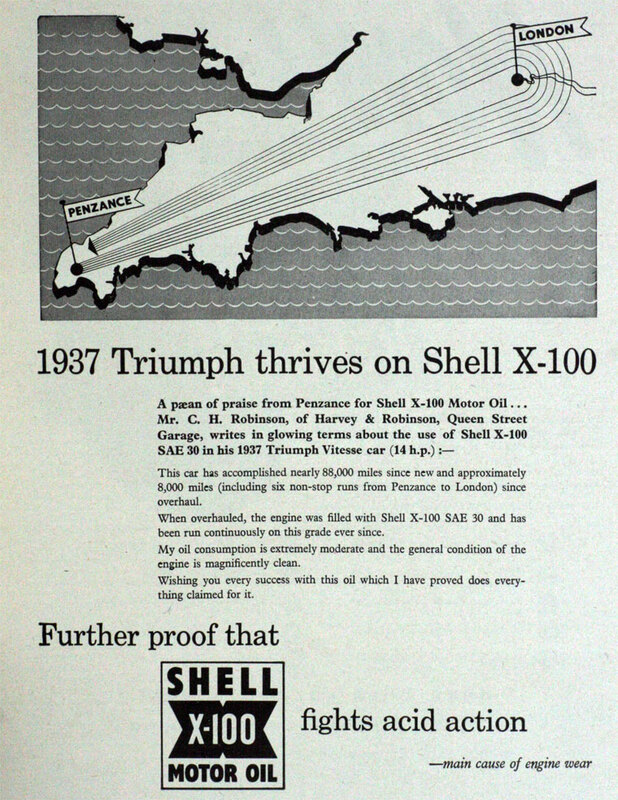 Shell did not own the tanker but it did own the oil and it suffered the public backlash against oil companies as a result. 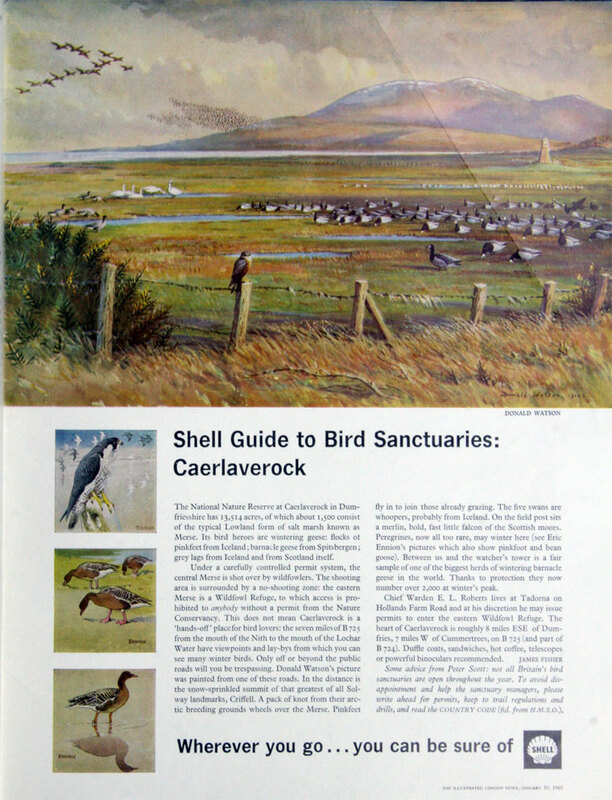 The incident proved a catalyst for the industry to raise environmental standards. 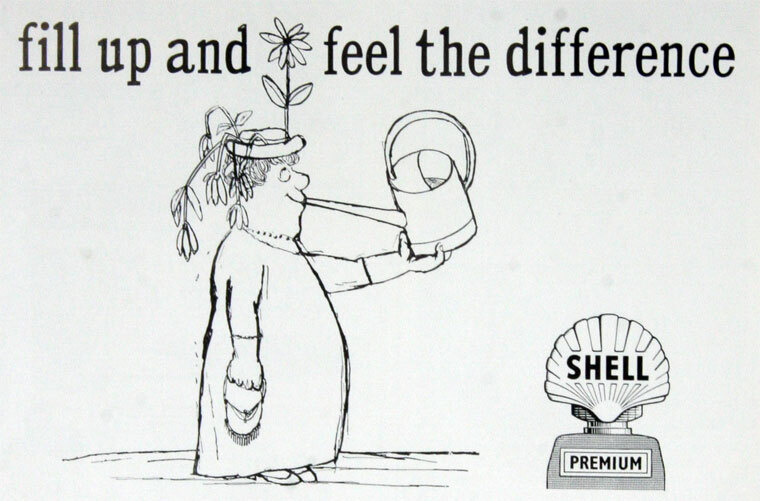 1985 Royal Dutch Shell bought out the remaining 30% shareholding in Shell Oil (USA). The Group’s early steps into renewable energy began with solar heating with the acquisition of a 50% interest in an Australian company Solarhart. It also moved into forestry, producing softwoods for paper, construction and fuel. 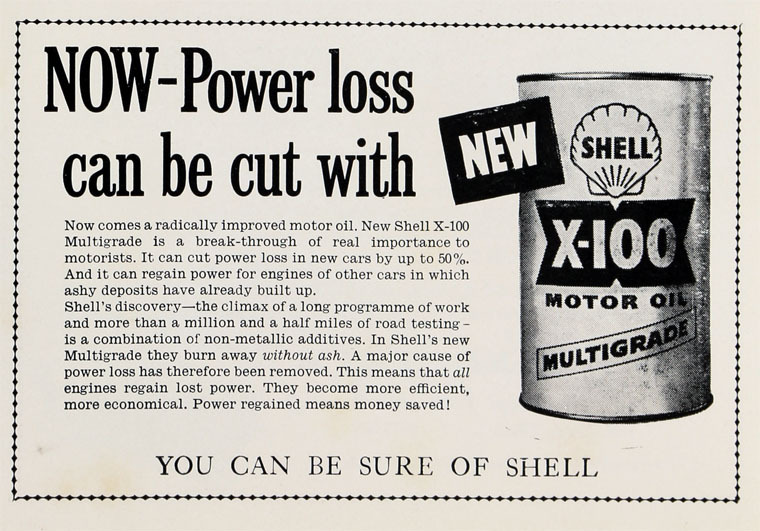 Out of this came its interest in biomass integrated gasification, and eventually the new biofuels of which Shell is today the world’s leading distributor. 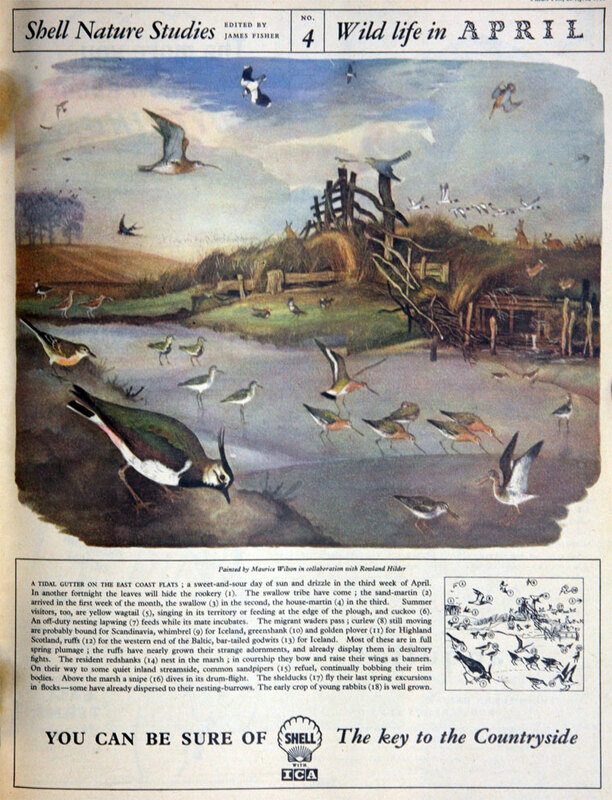 This page was last edited on 15 October 2018, at 13:06.